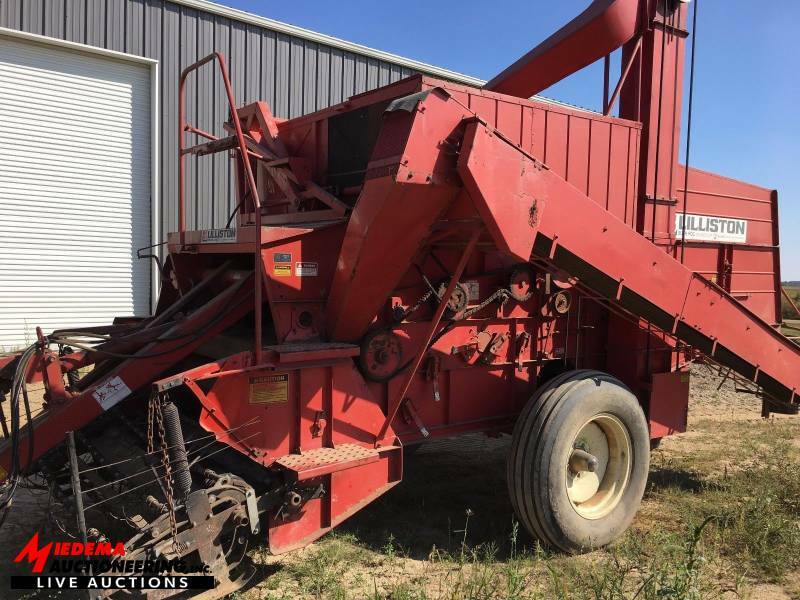 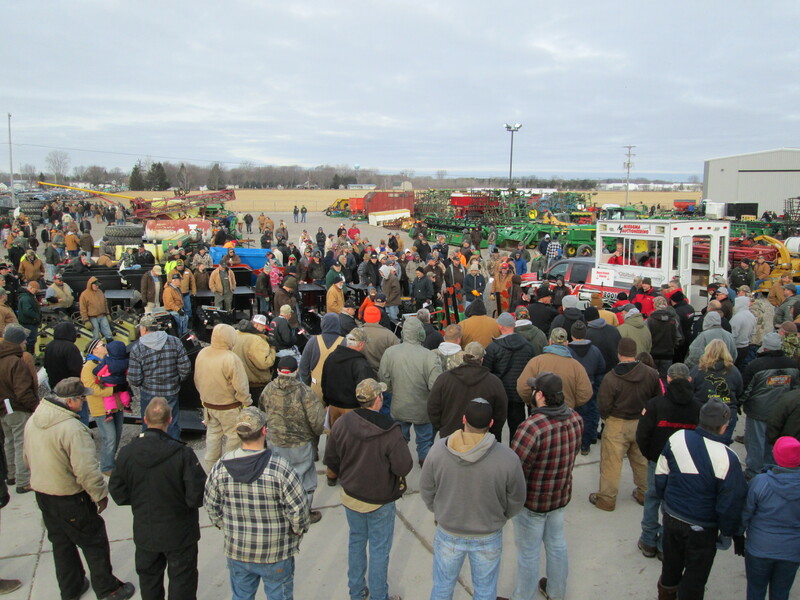 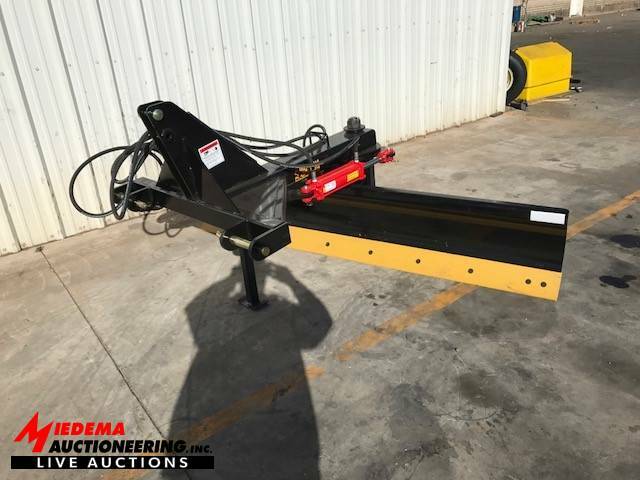 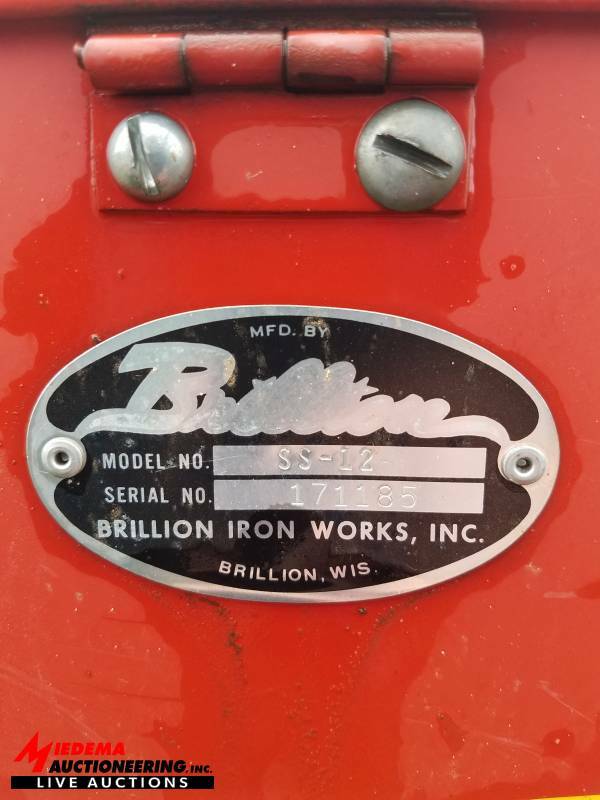 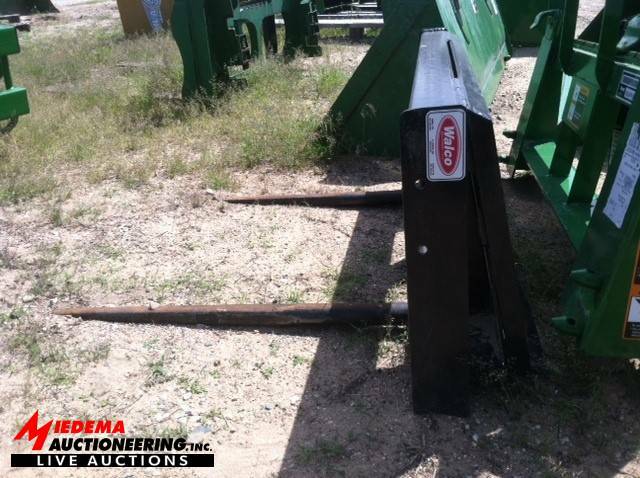 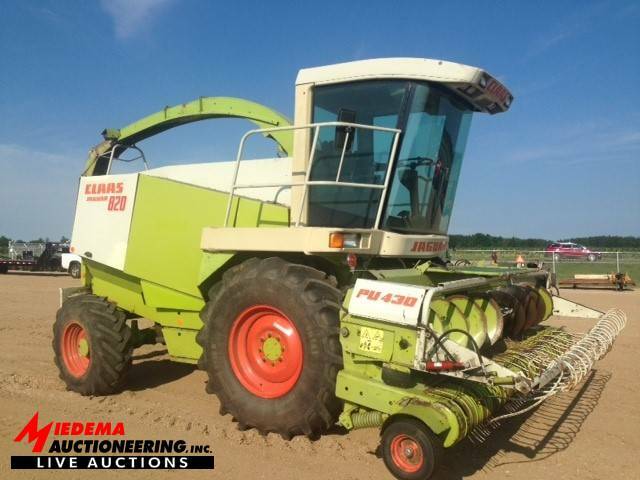 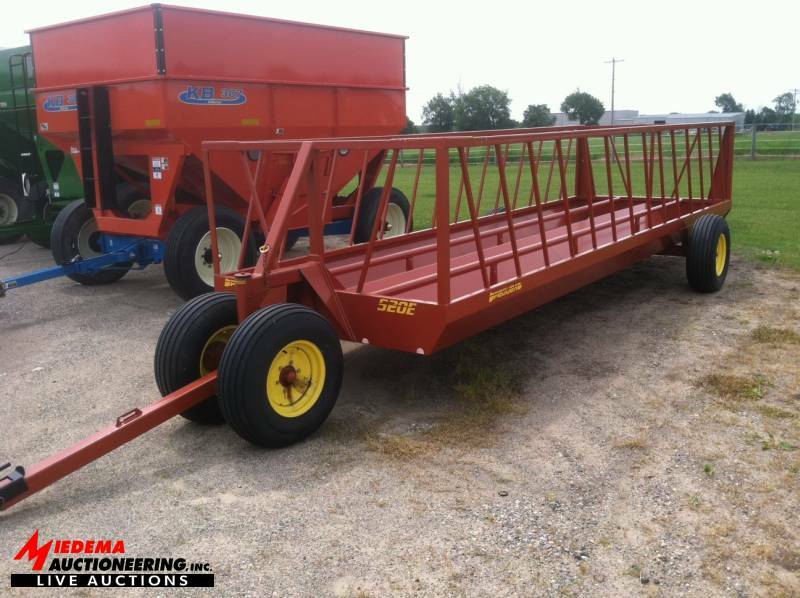 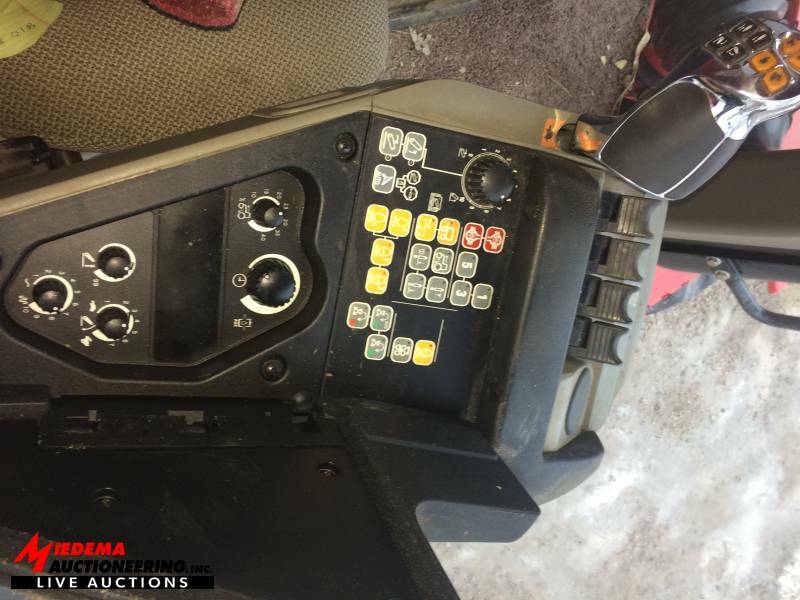 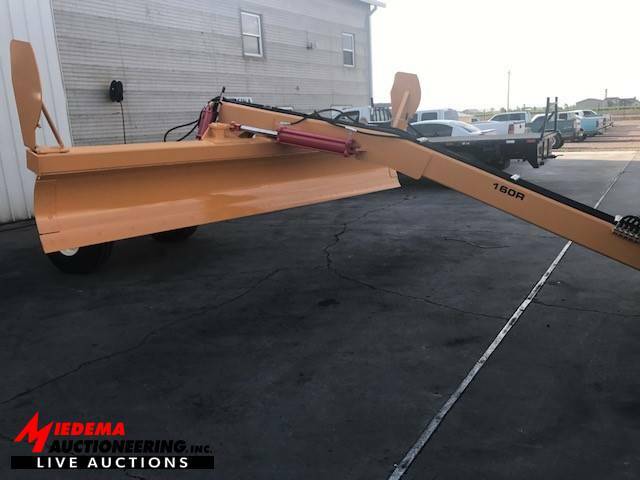 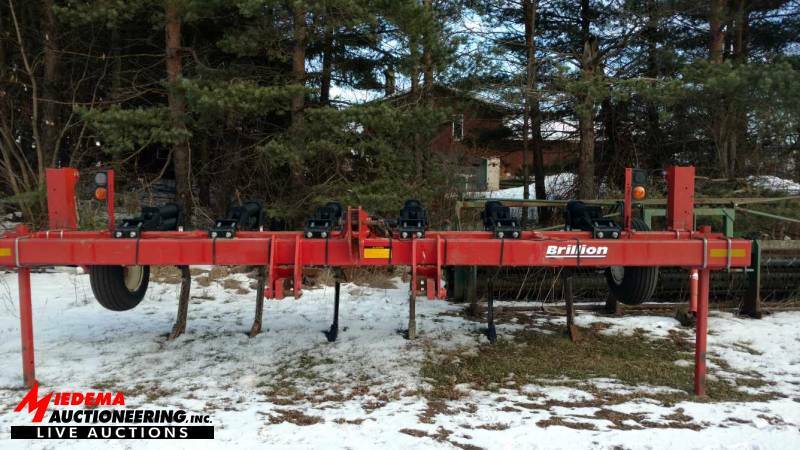 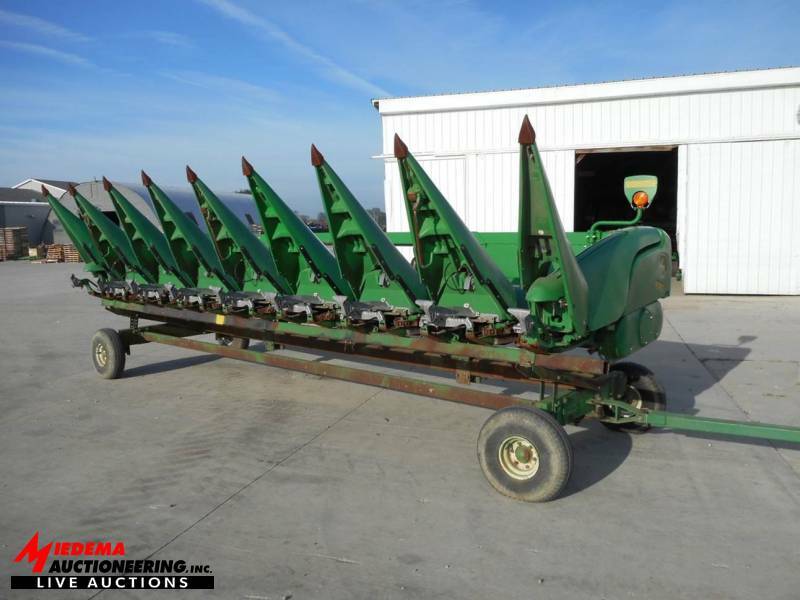 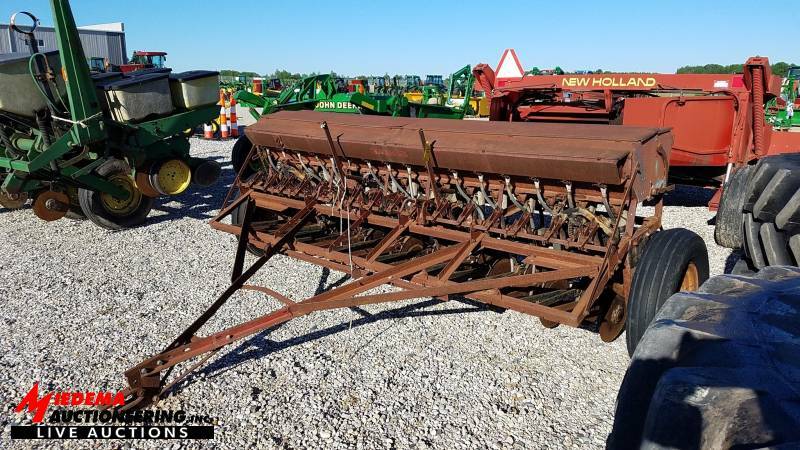 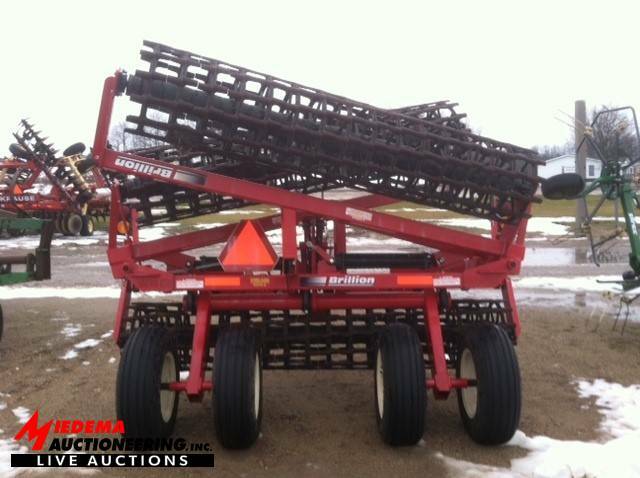 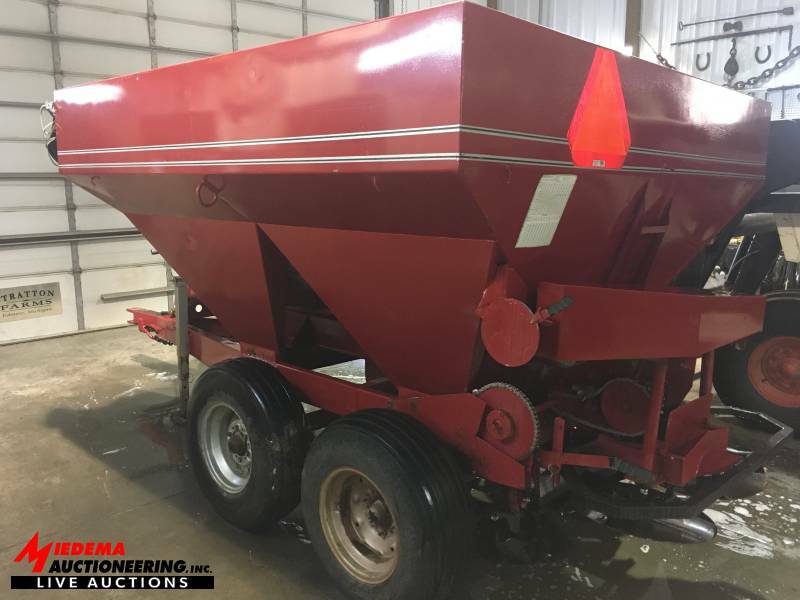 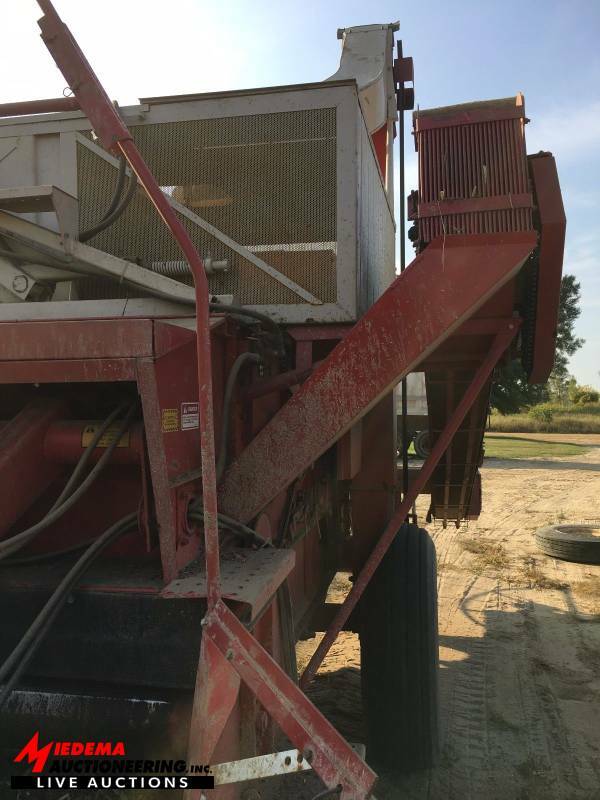 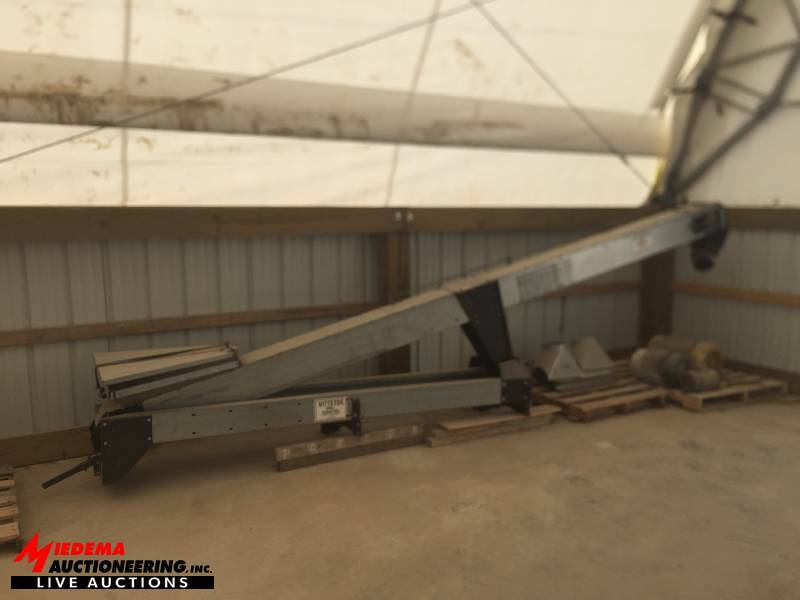 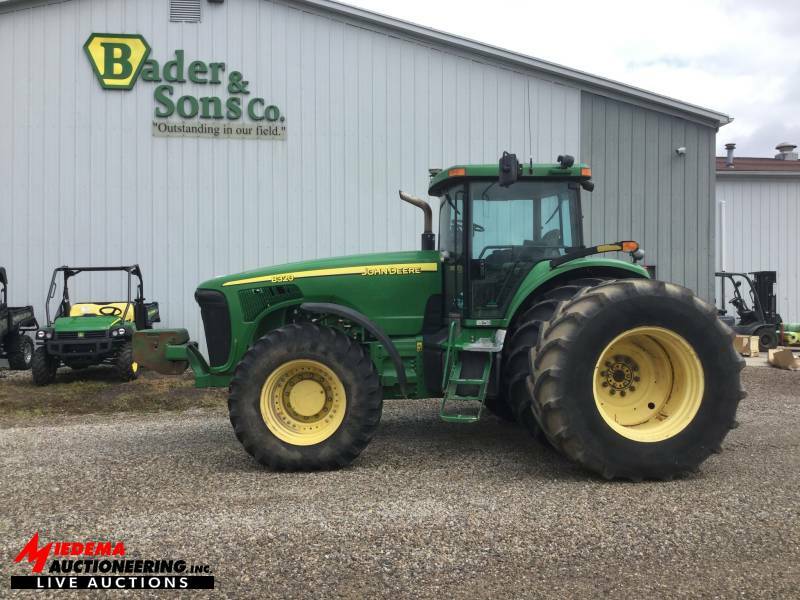 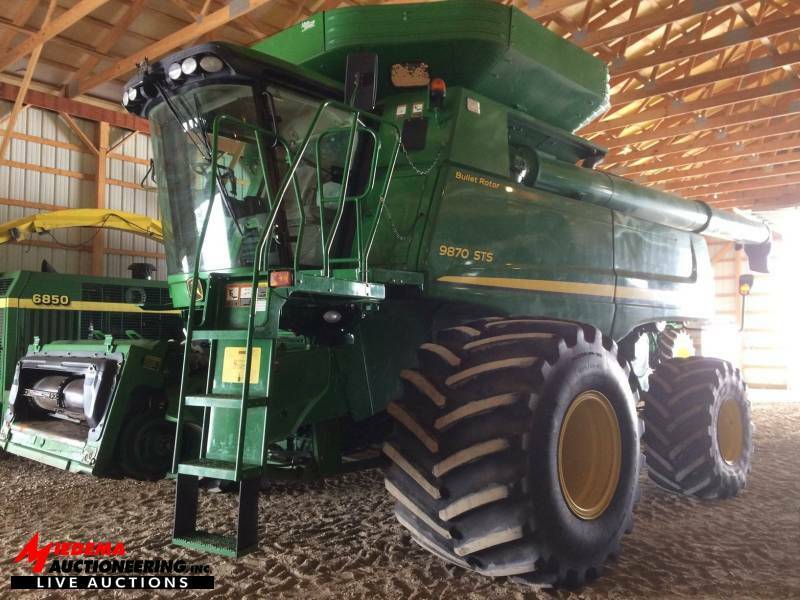 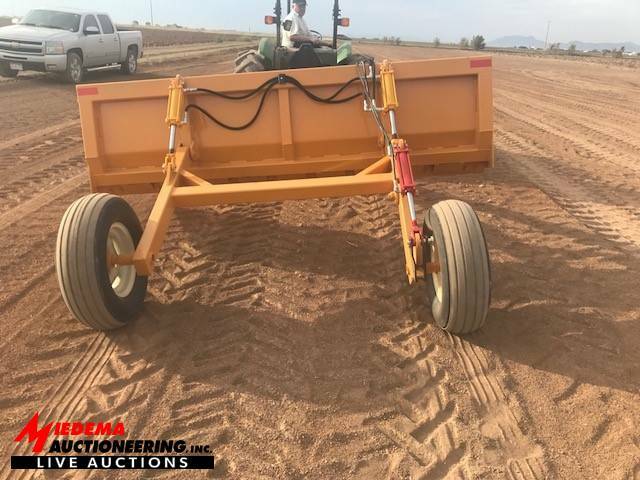 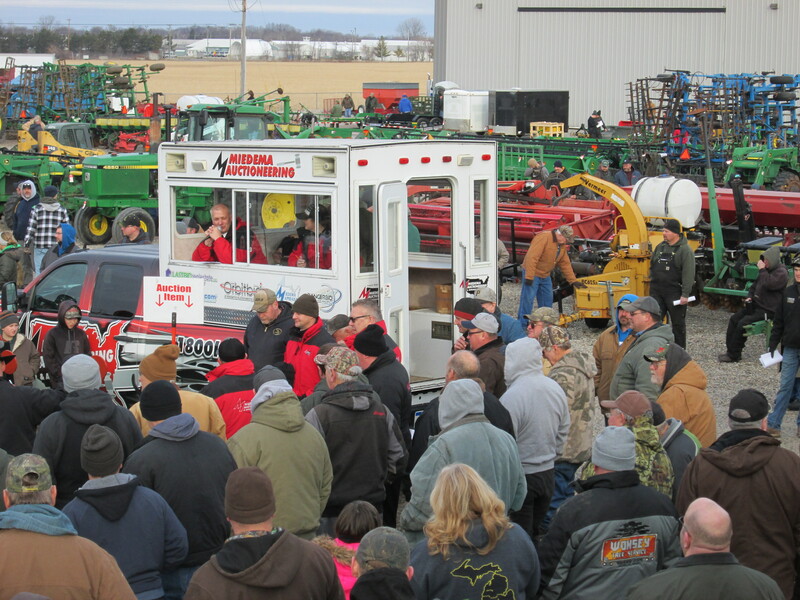 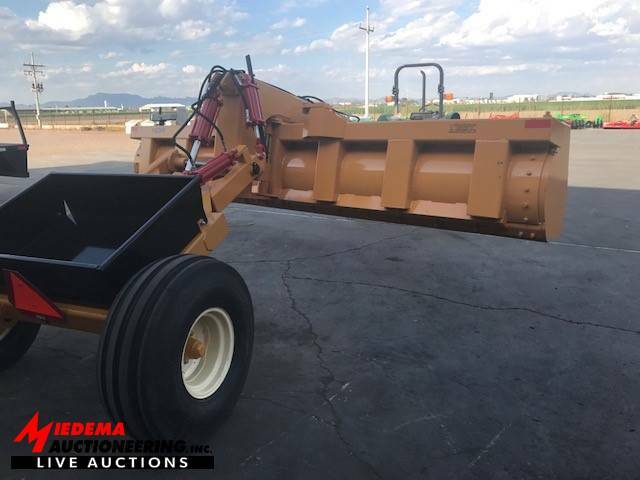 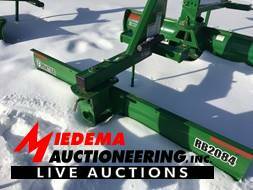 Bader & Sons Co. 26th Annual Auction - Miedema Auctioneering & Appraisals, Inc. 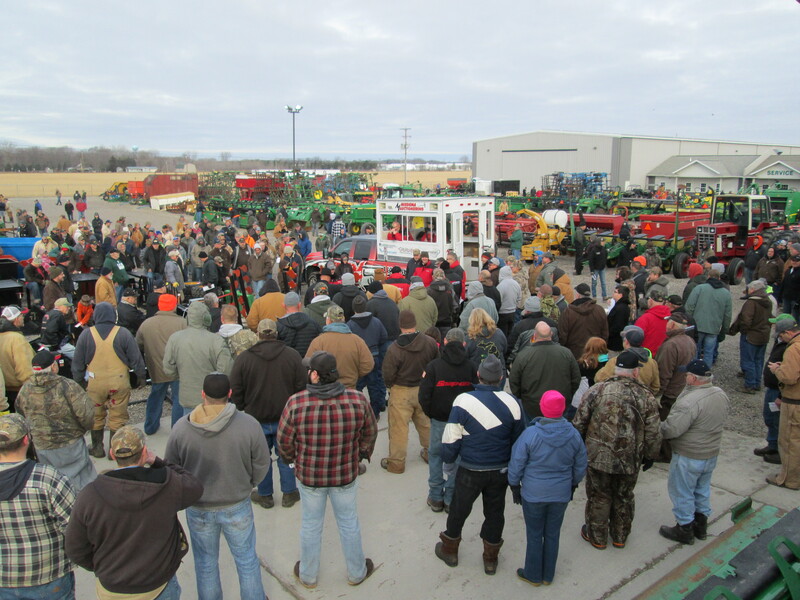 The Auction will start with 2 auctioneers selling at the same time. 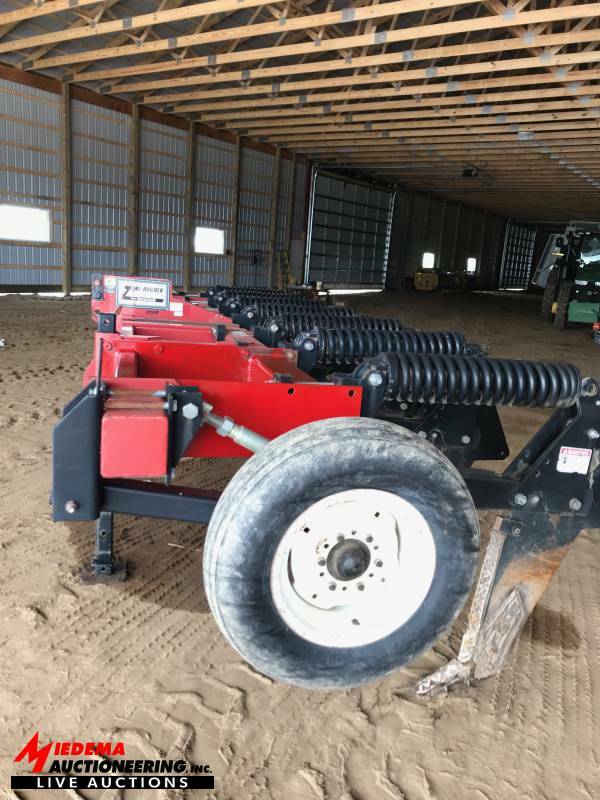 Ring 1 – Main Farm Equipment, Ring 2 – Misc. 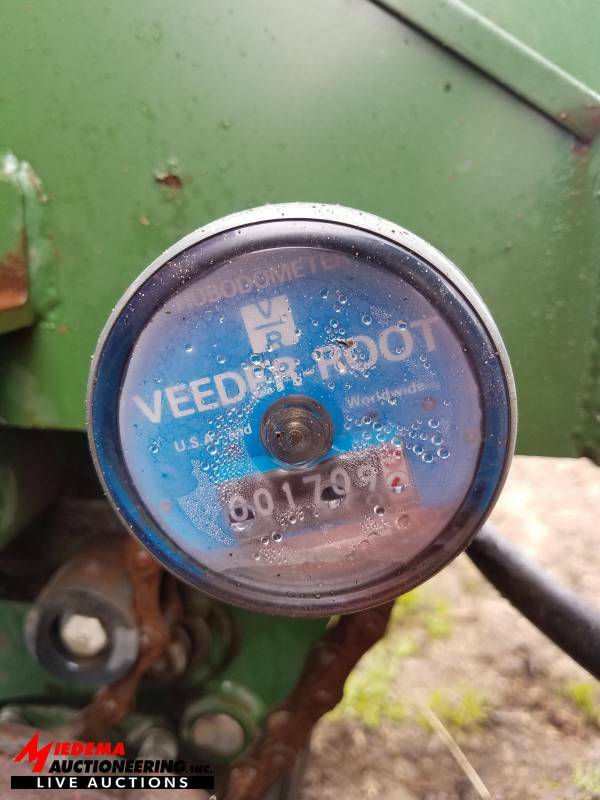 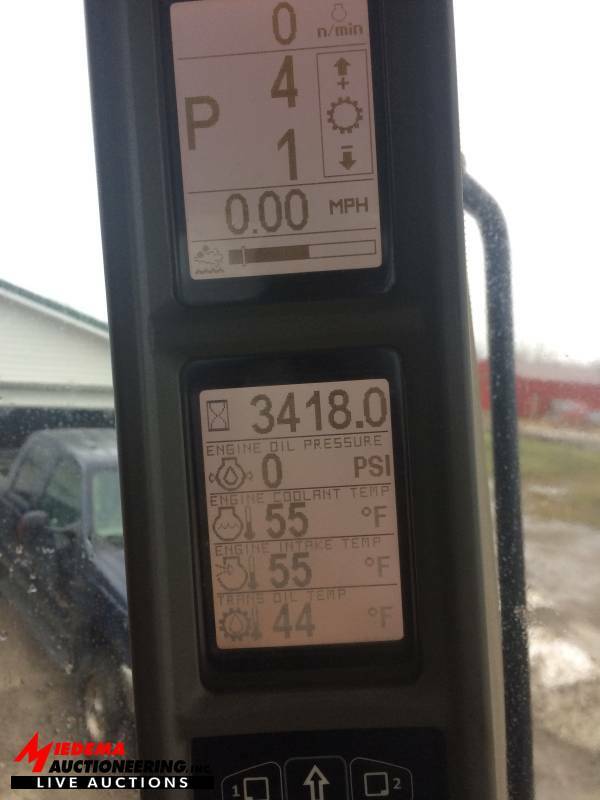 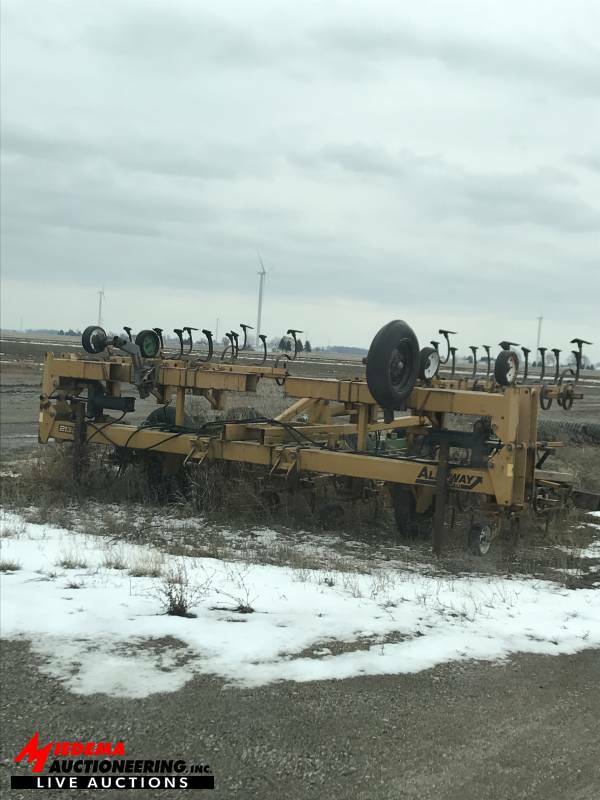 Farm Equipment. 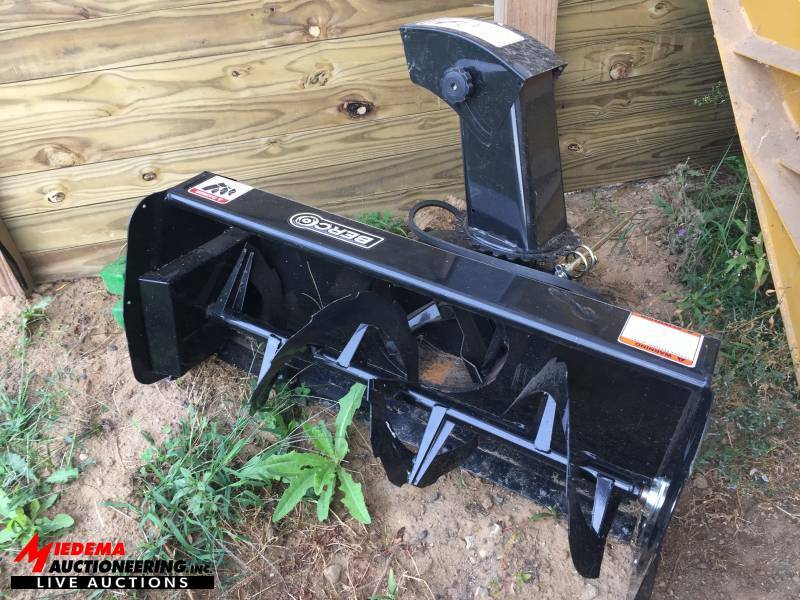 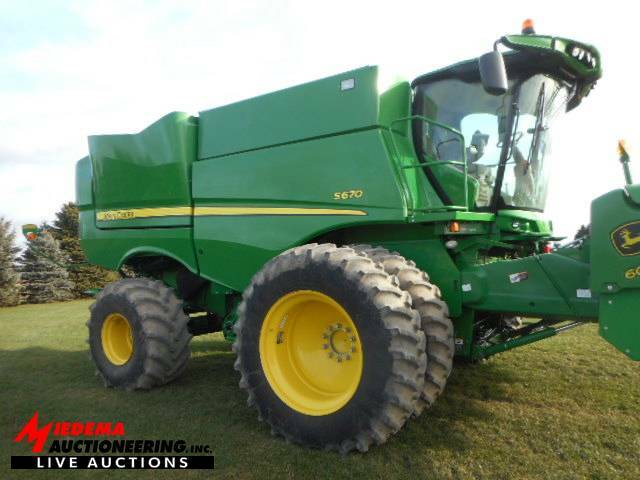 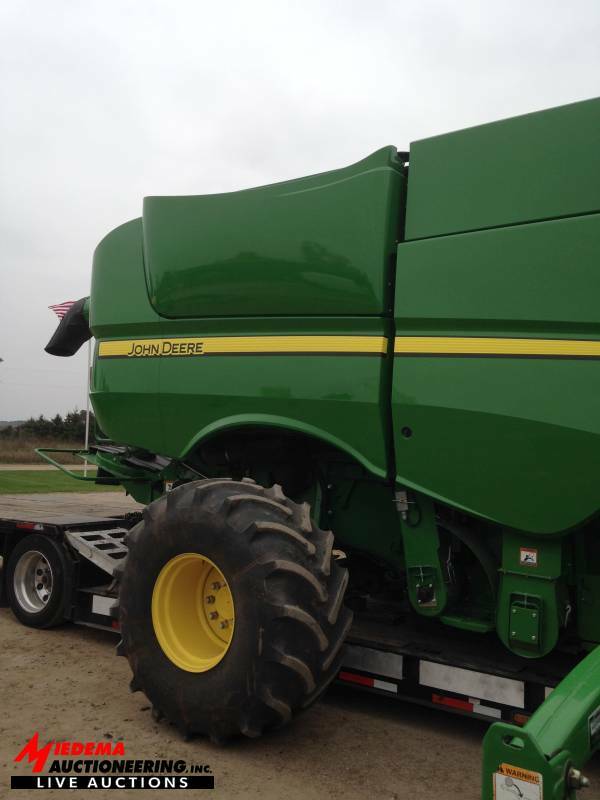 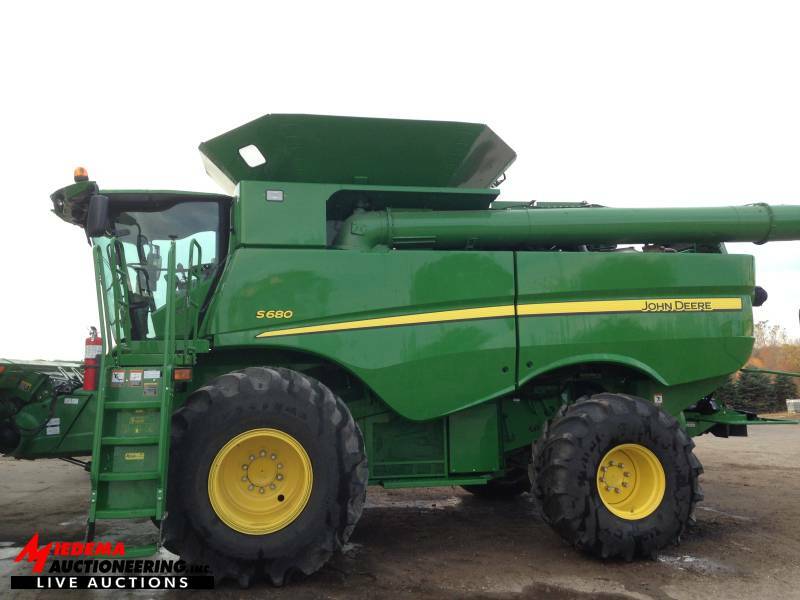 At noon we will sell the combines, truck and trailers; and lawn & garden. 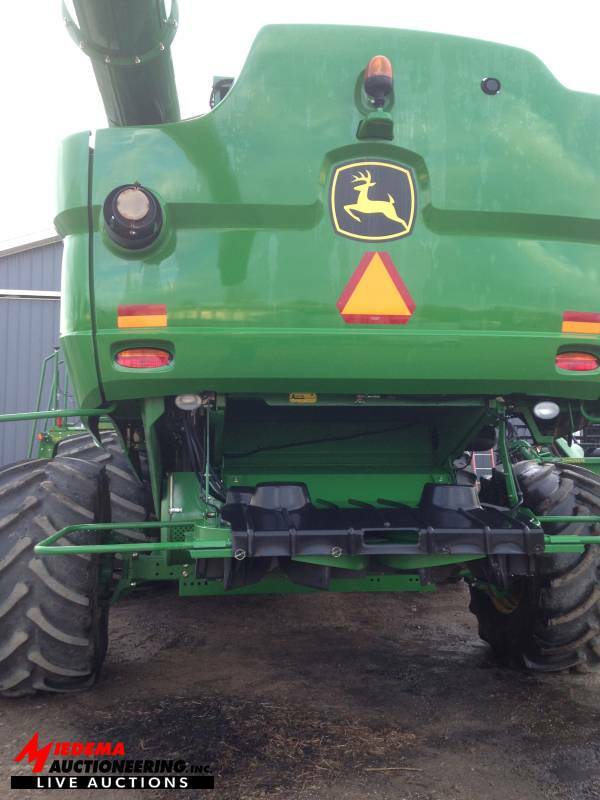 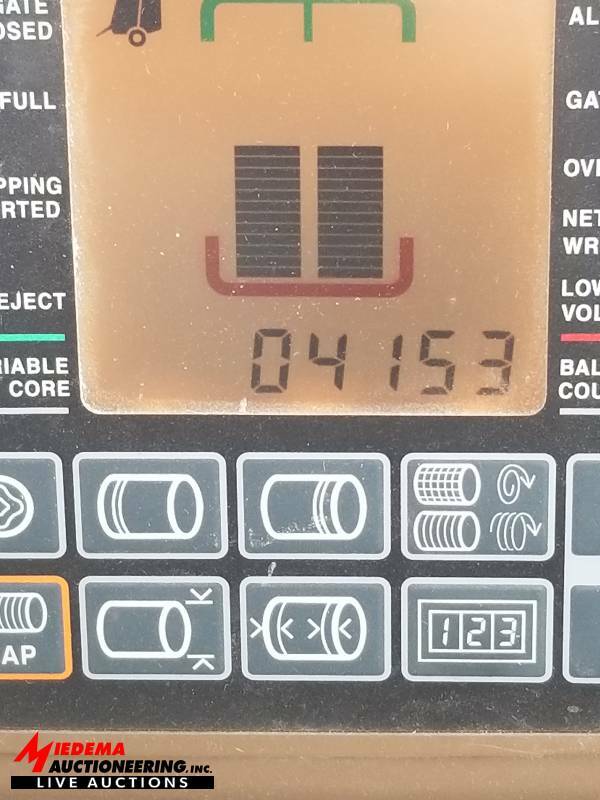 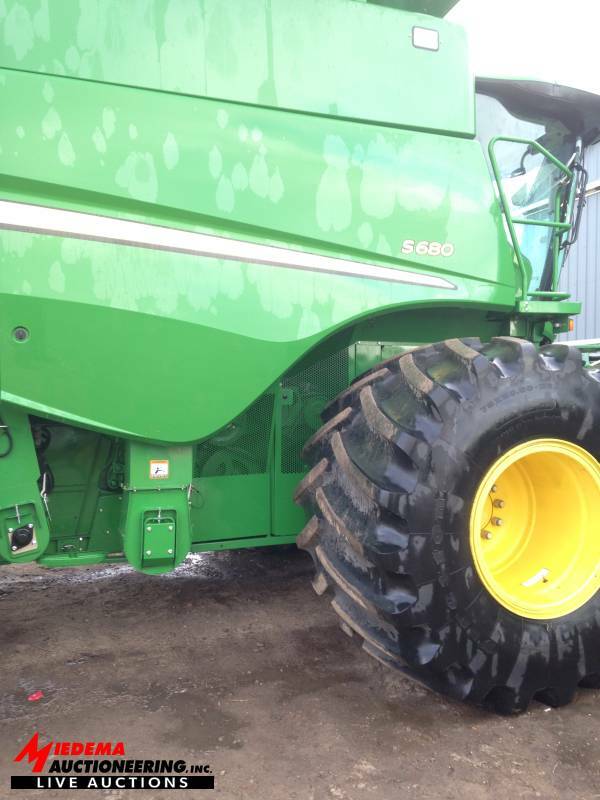 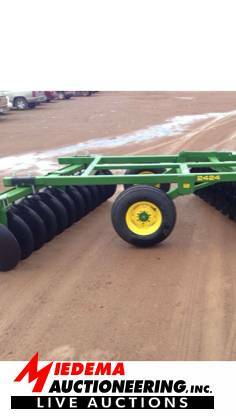 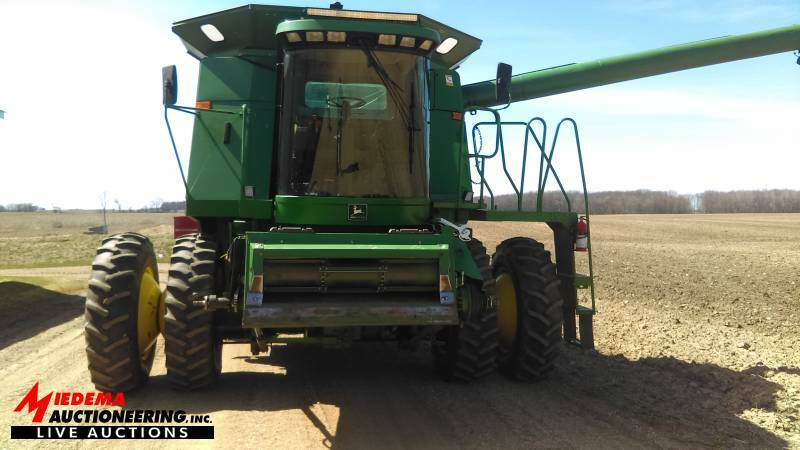 After the combines sell we will finish selling Ring 1. 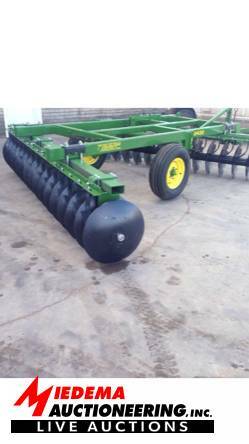 After the lawn and garden equipment sells, we will finish selling Ring 2. 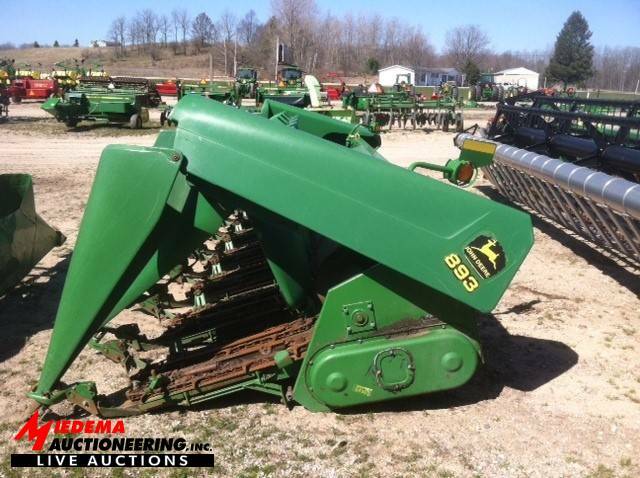 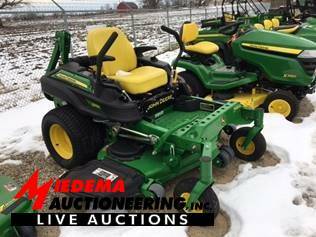 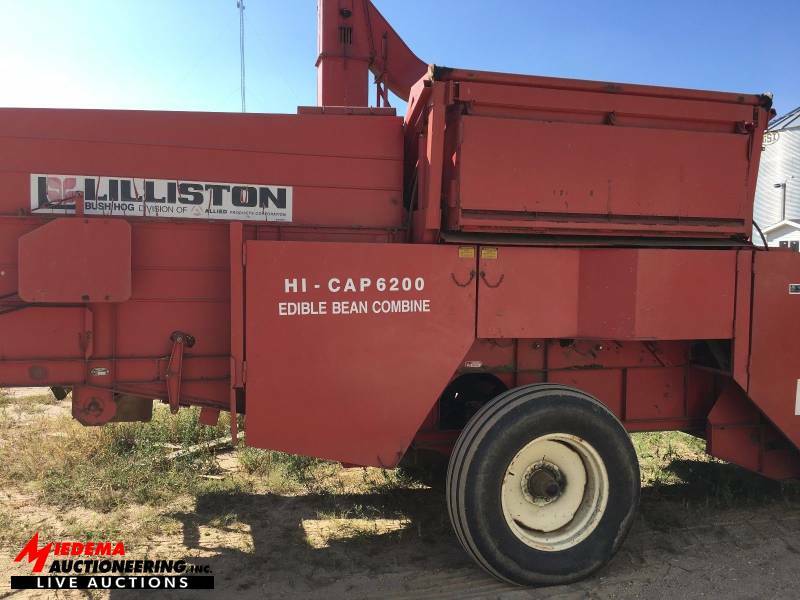 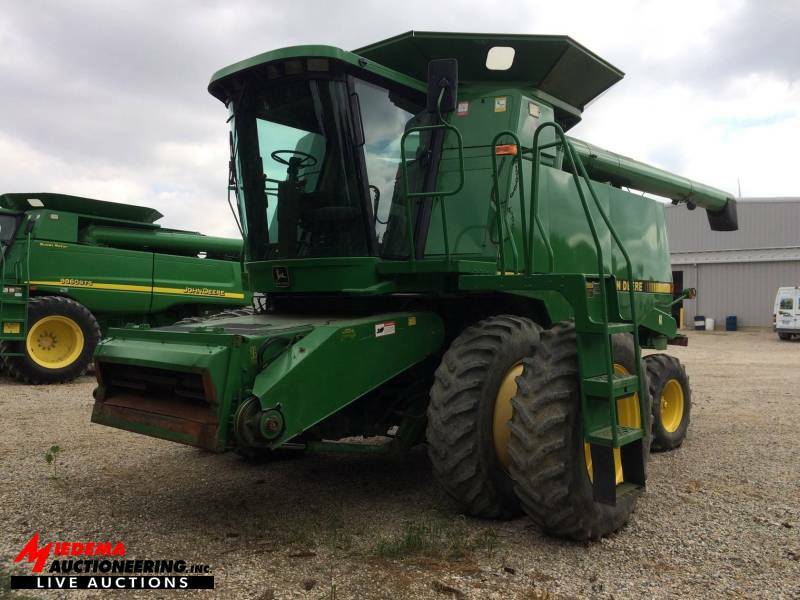 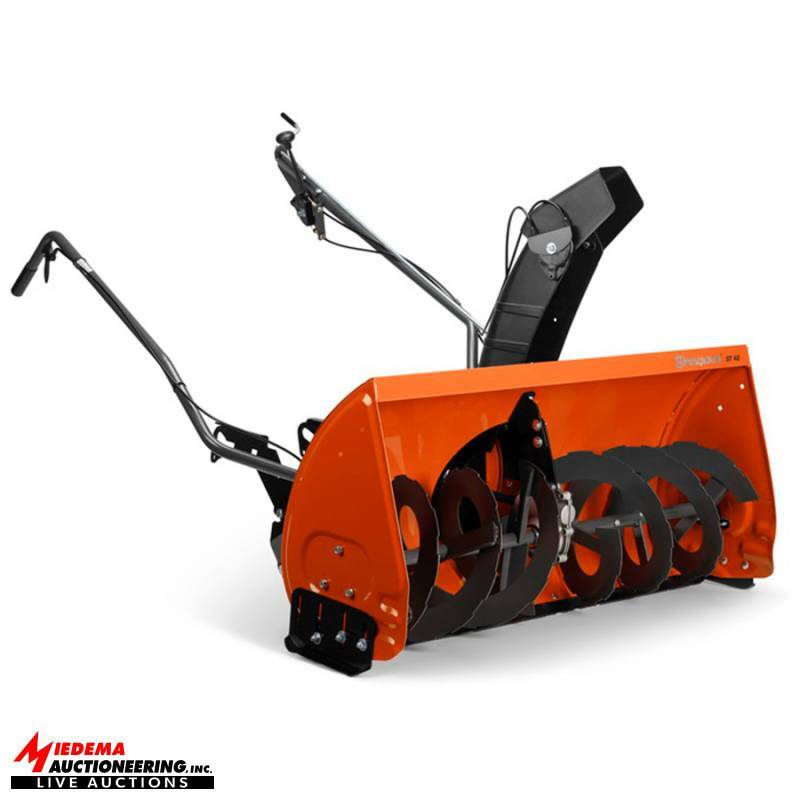 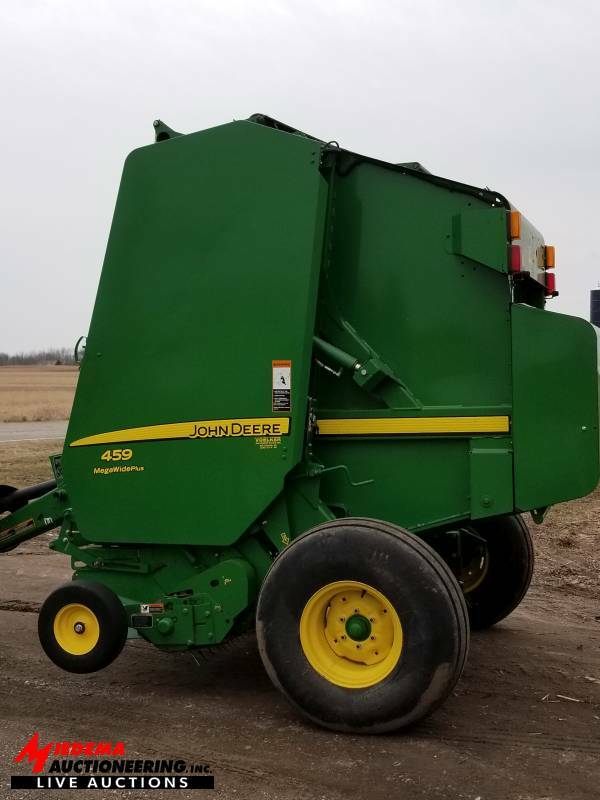 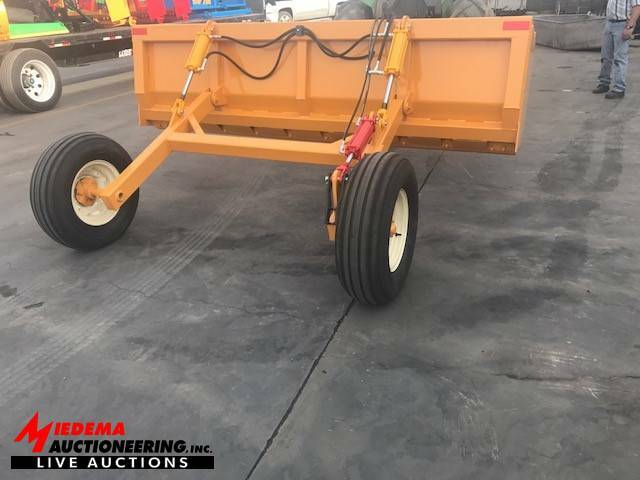 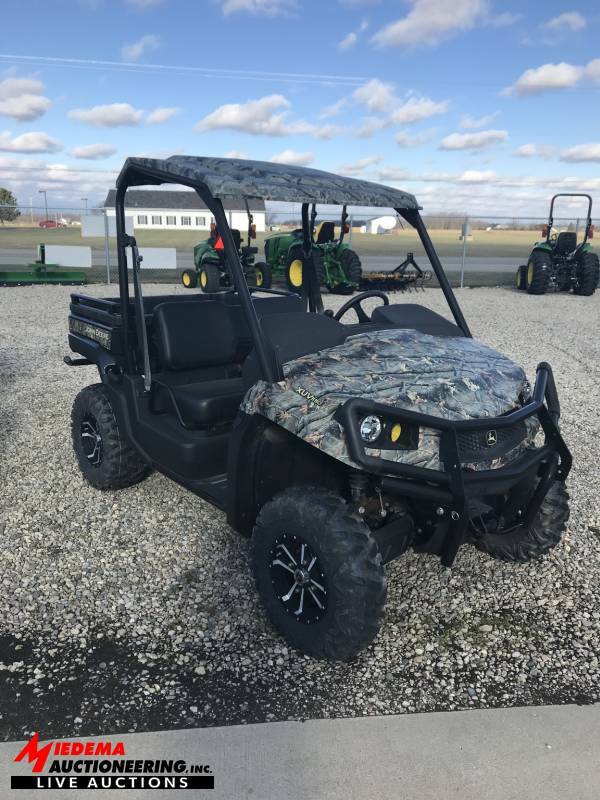 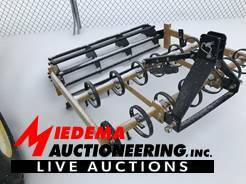 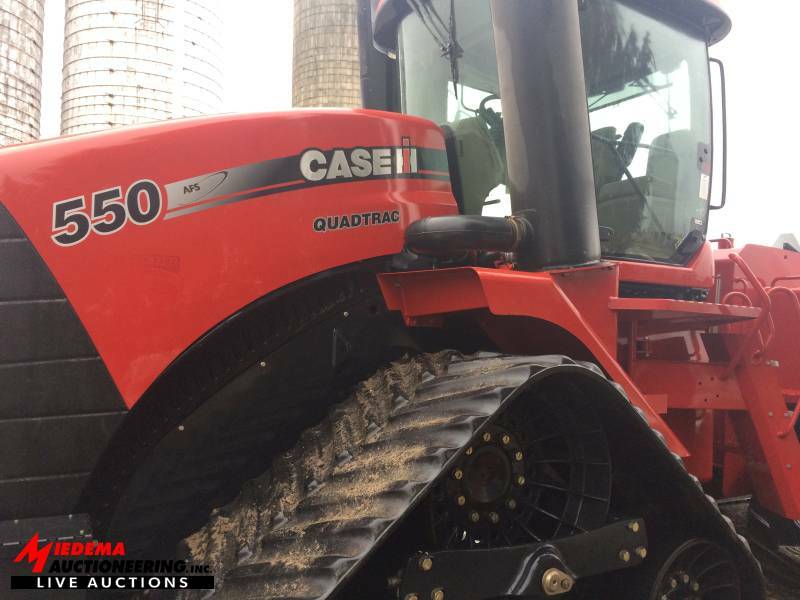 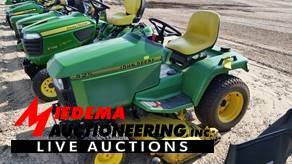 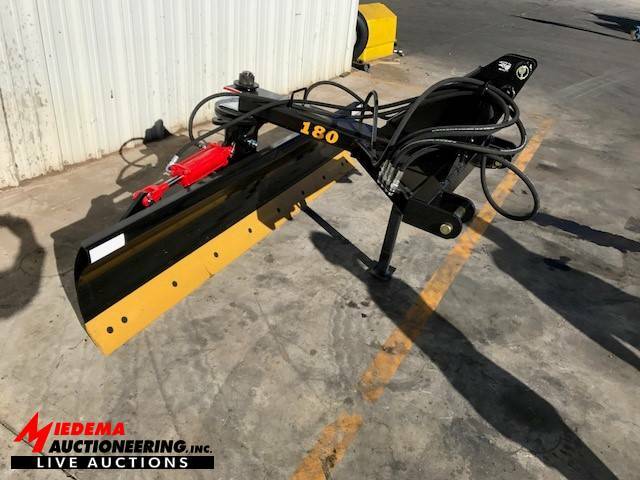 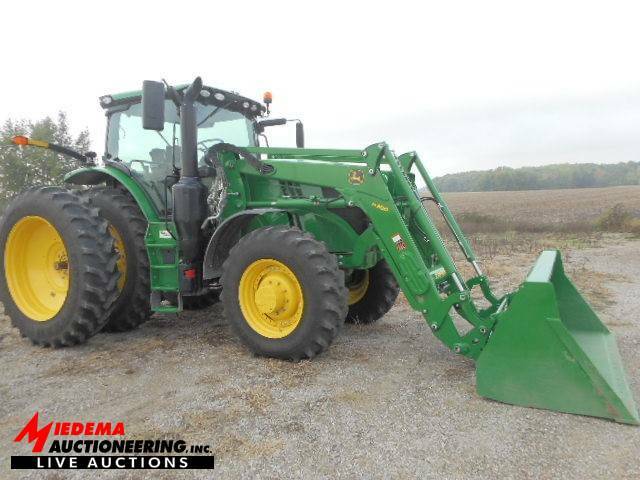 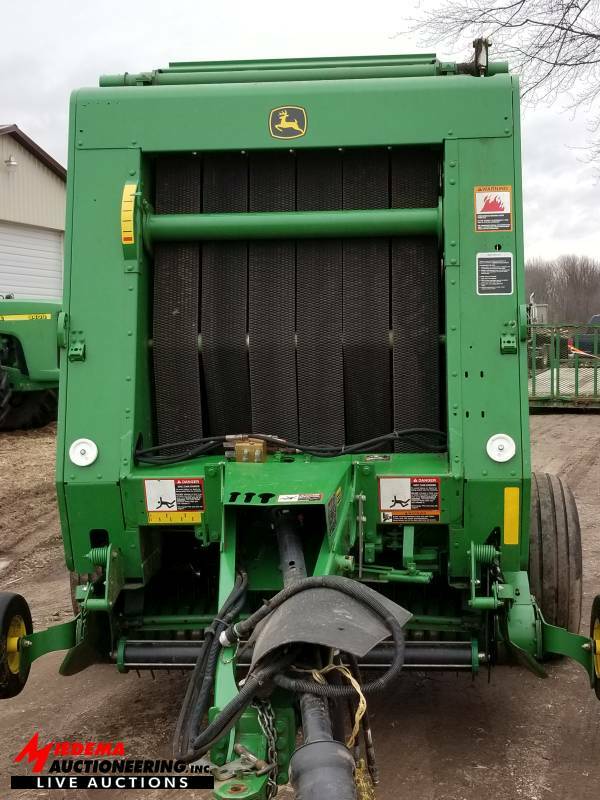 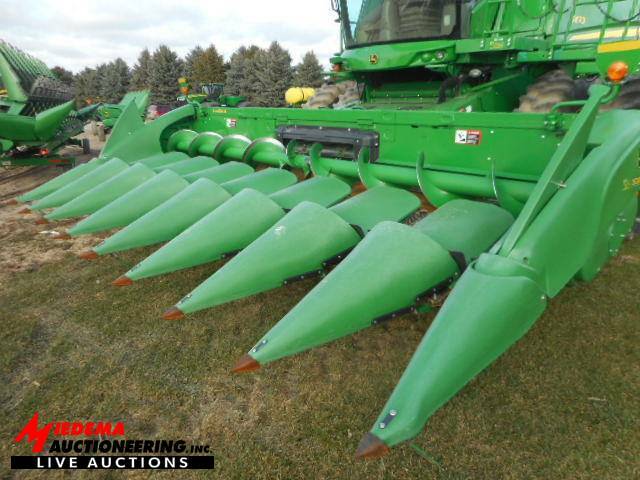 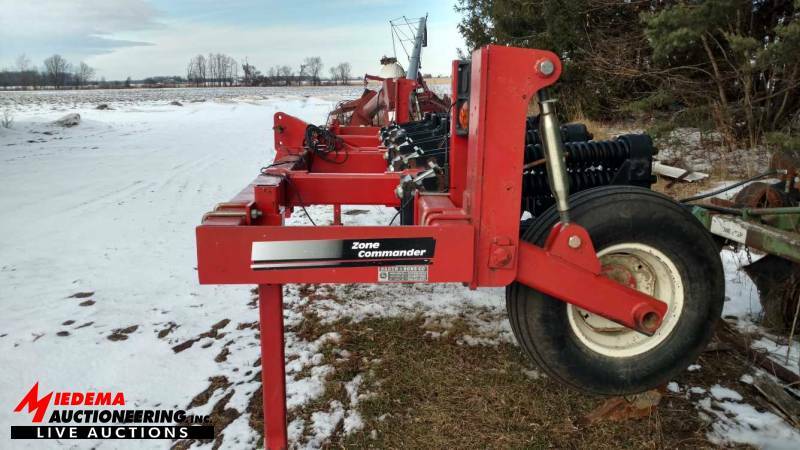 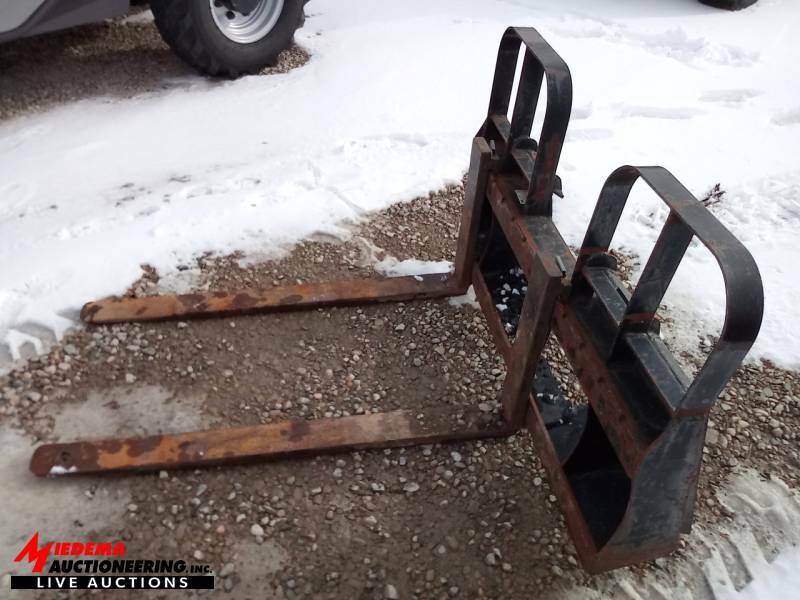 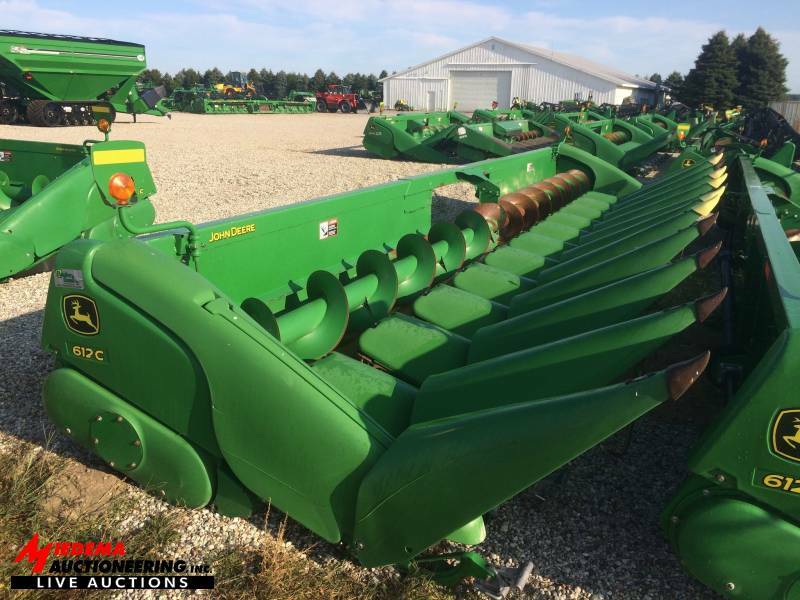 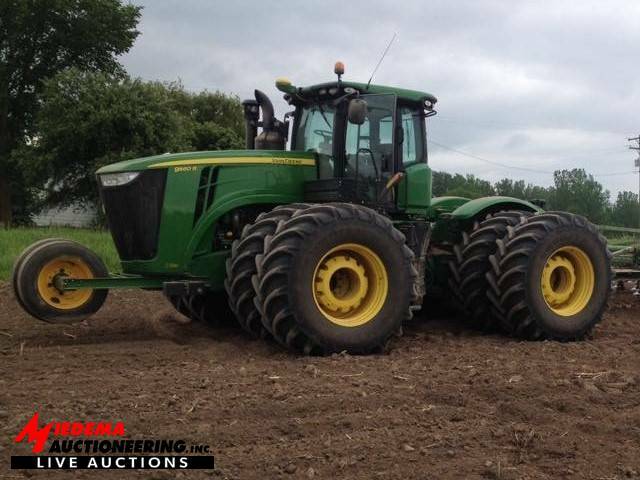 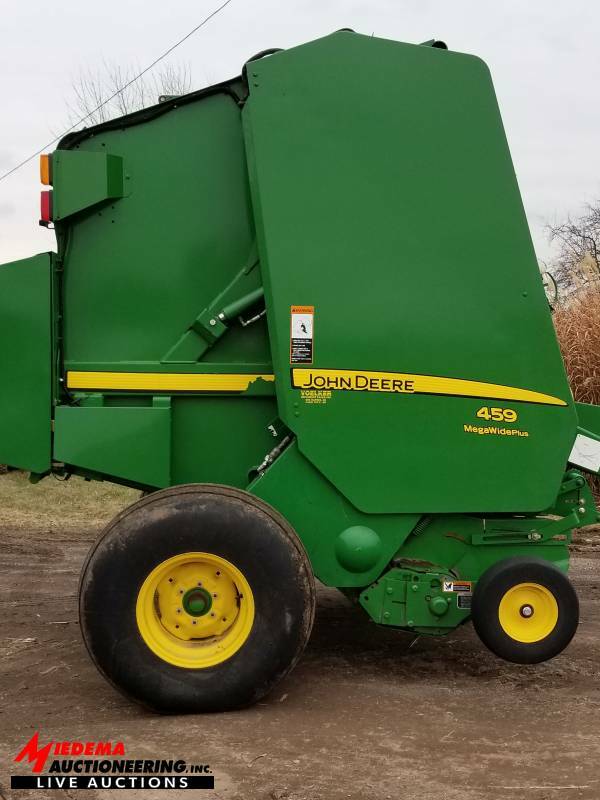 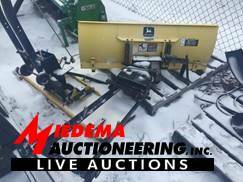 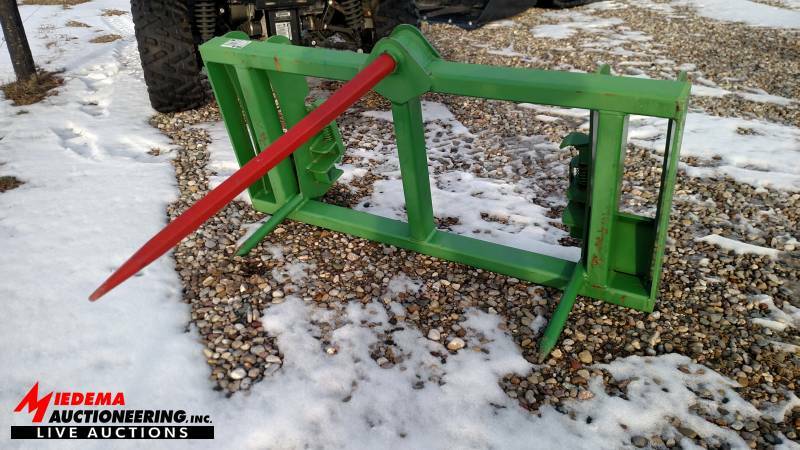 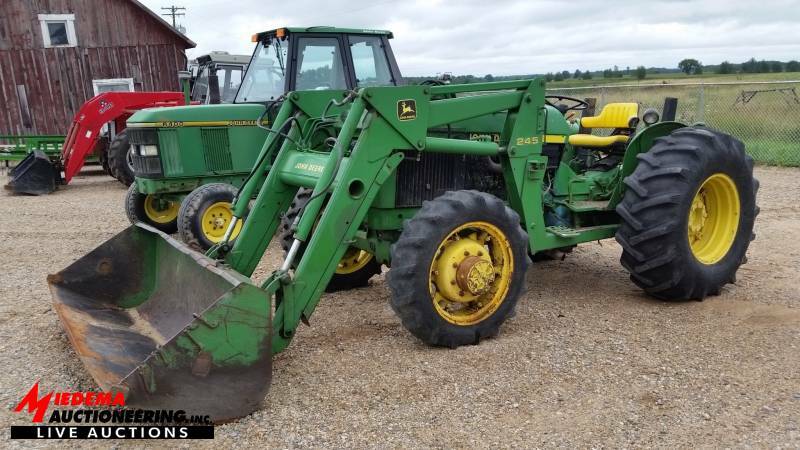 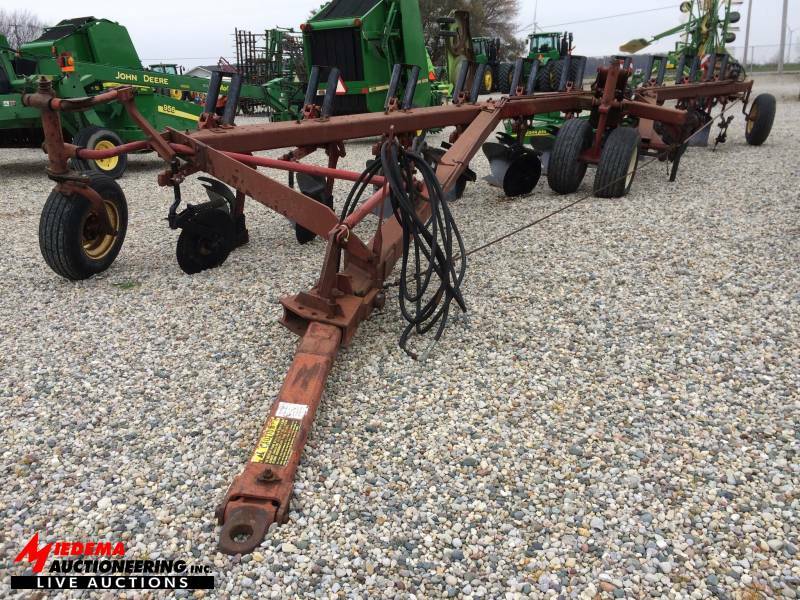 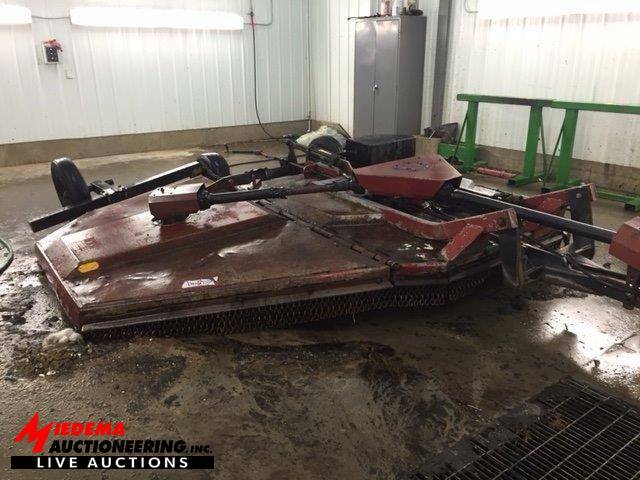 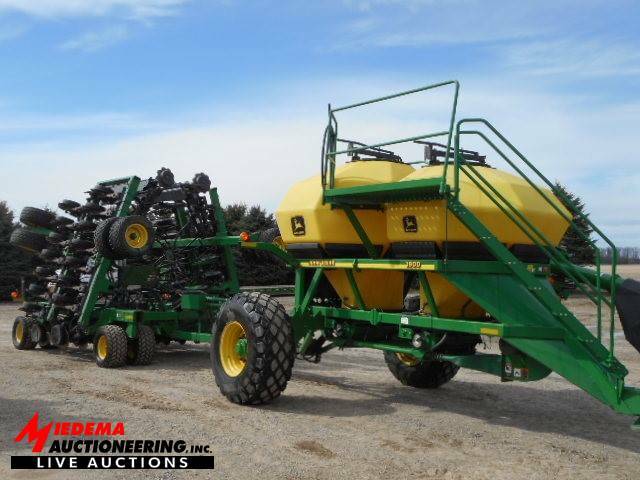 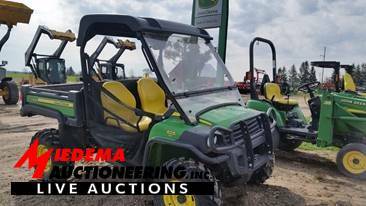 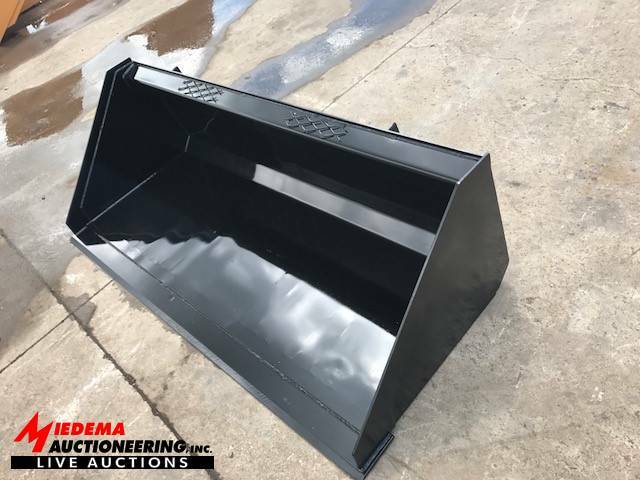 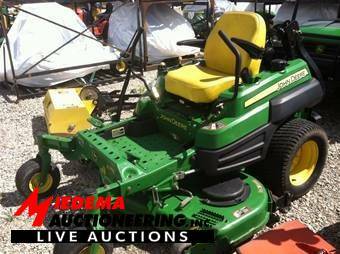 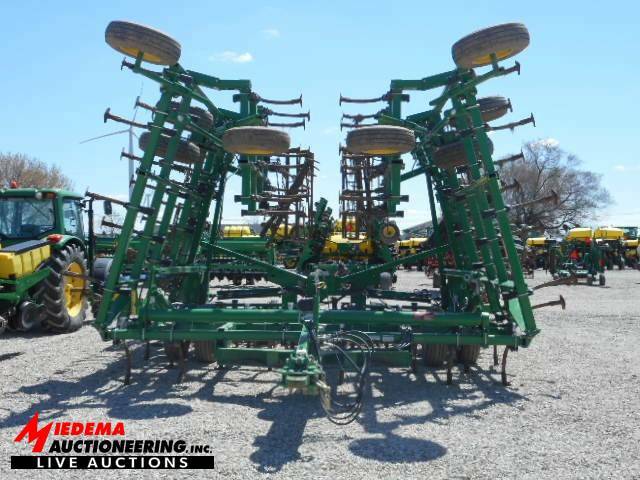 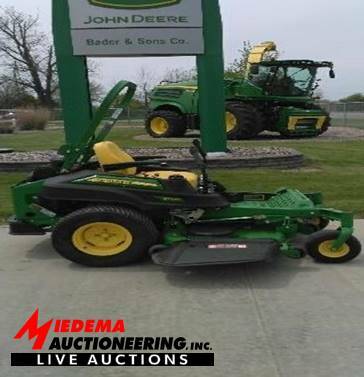 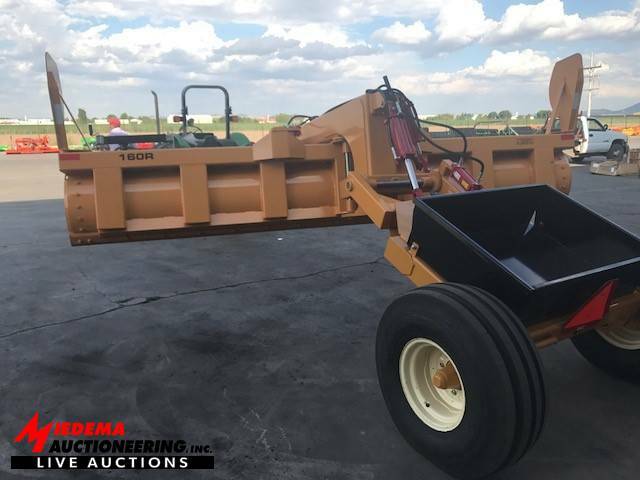 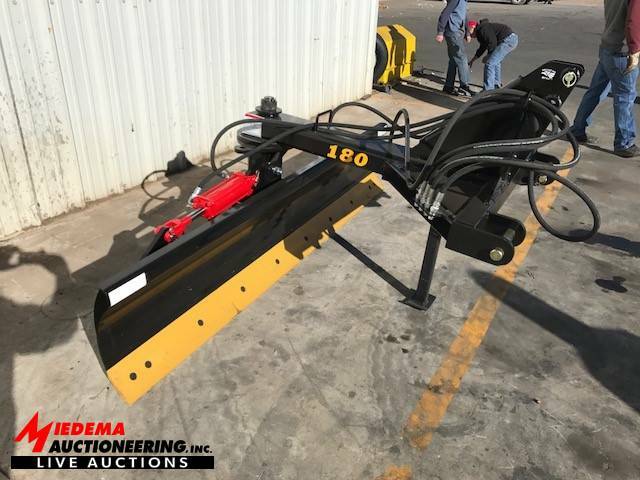 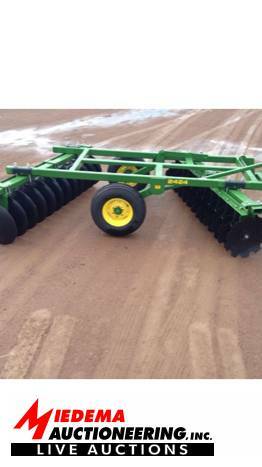 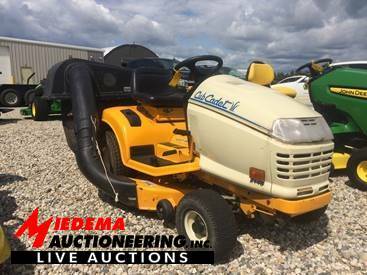 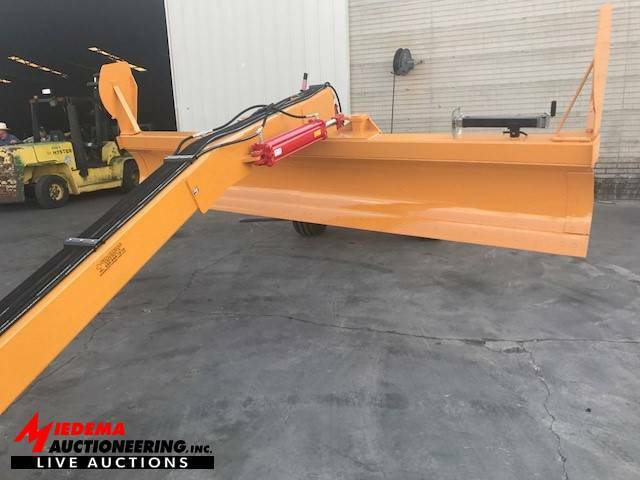 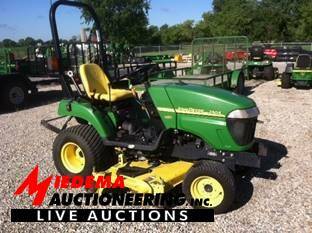 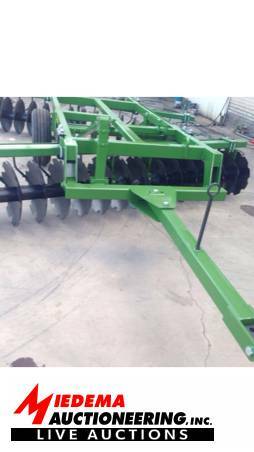 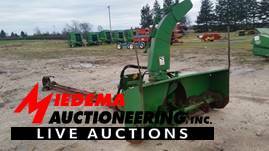 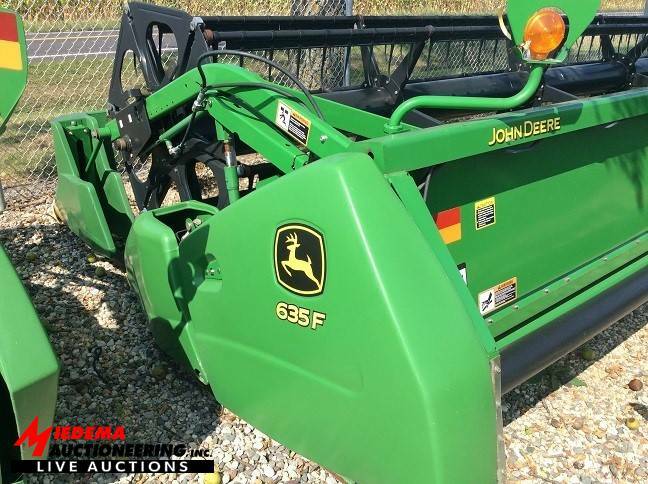 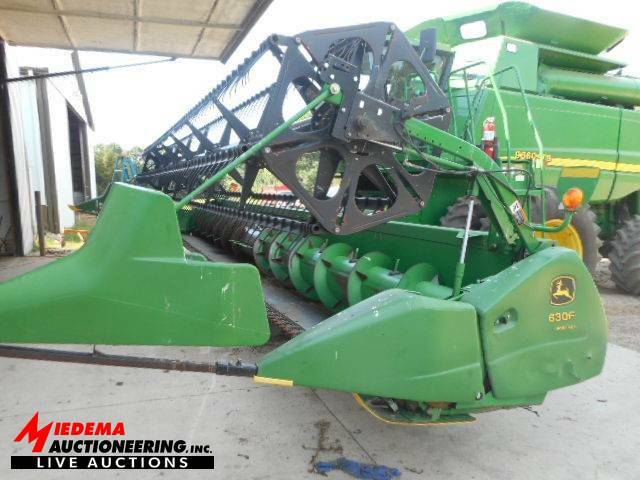 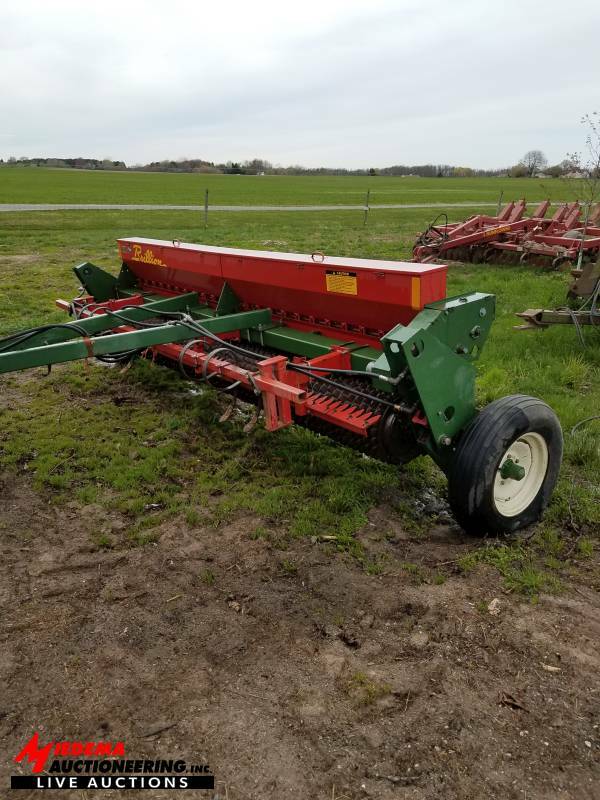 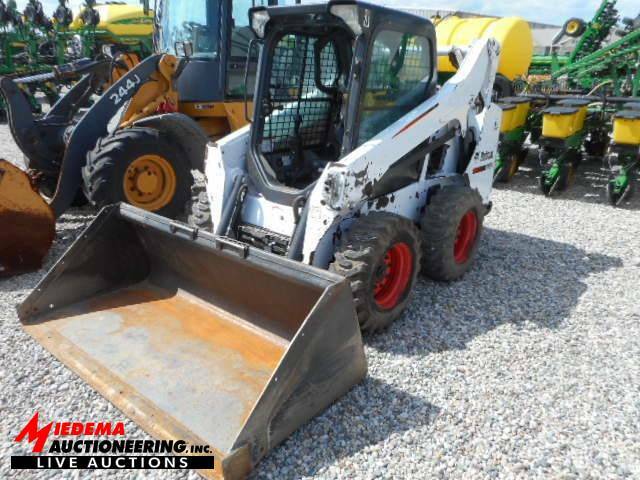 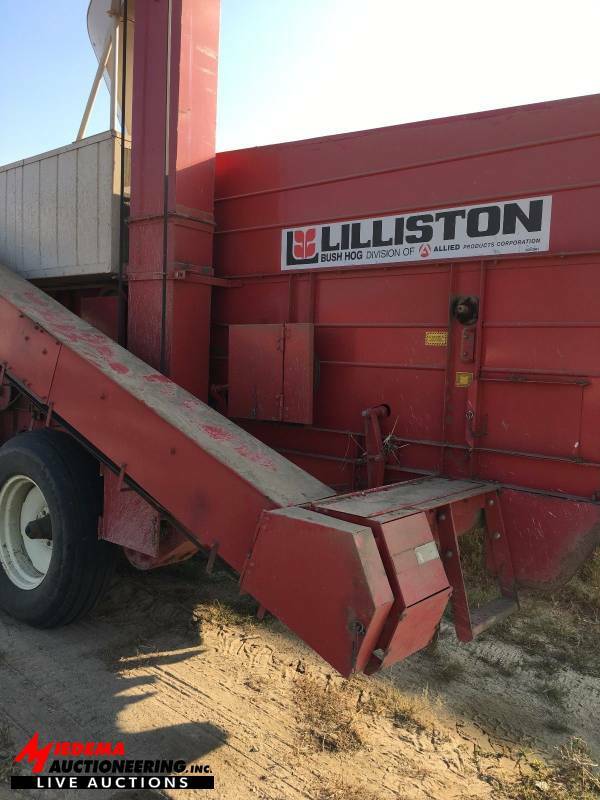 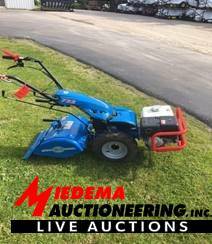 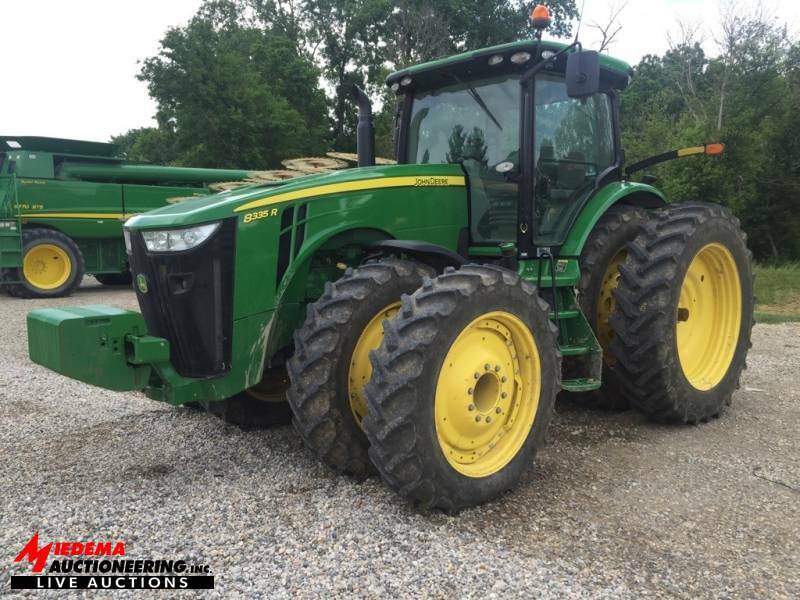 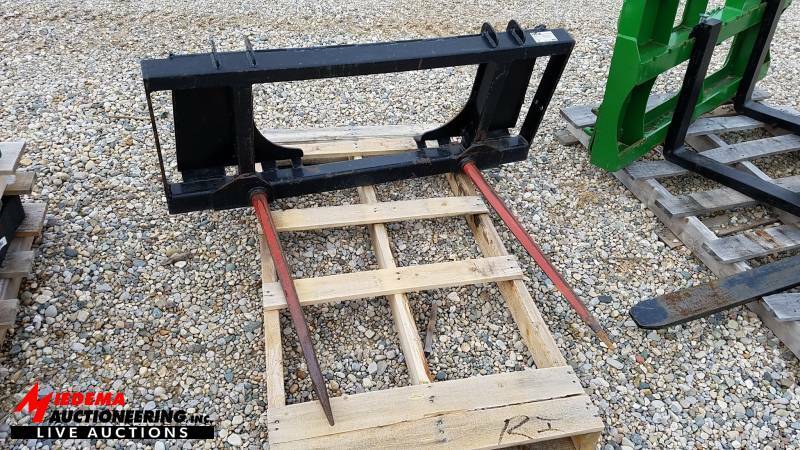 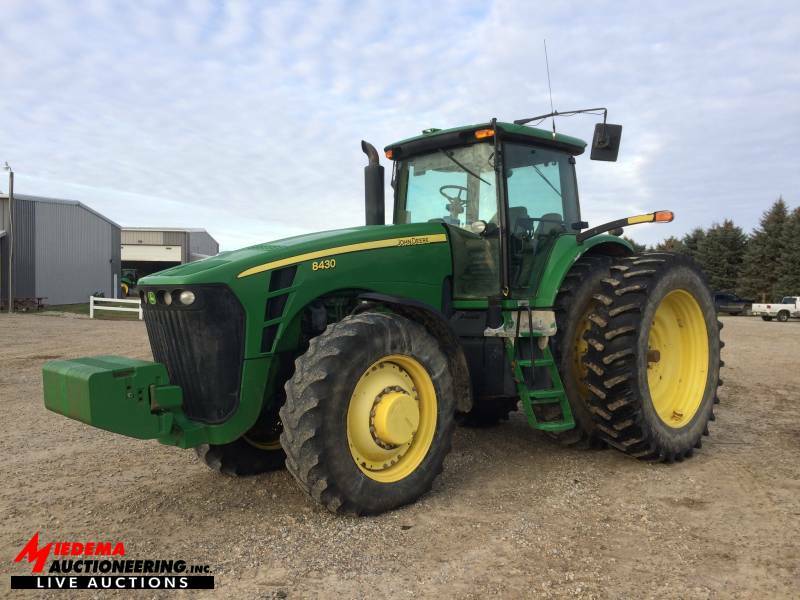 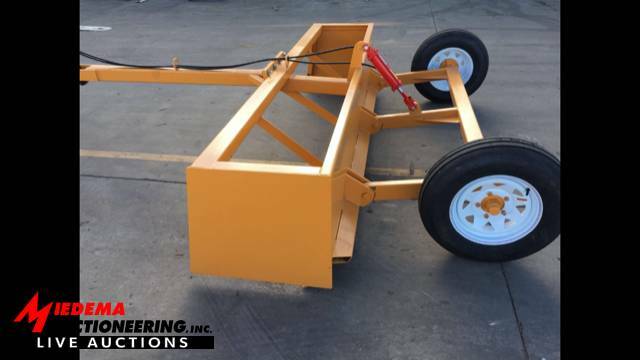 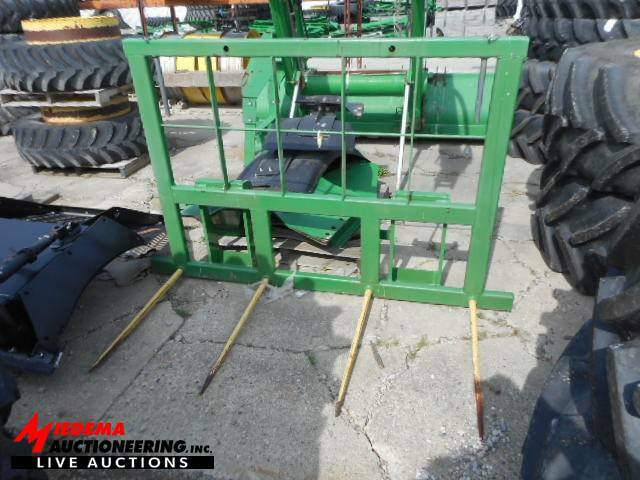 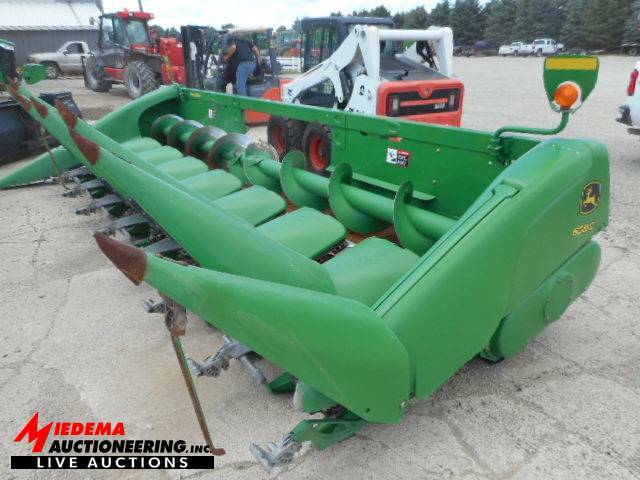 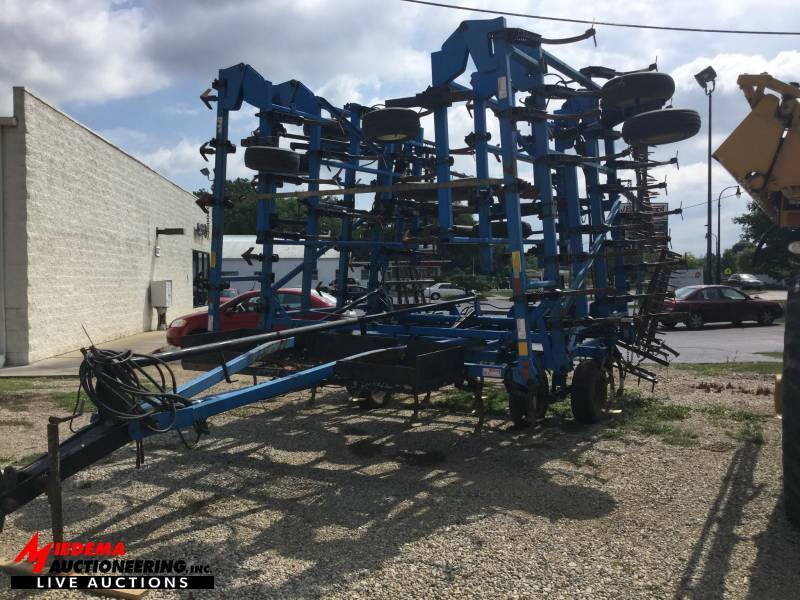 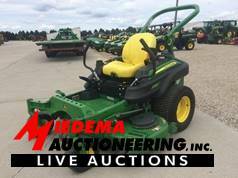 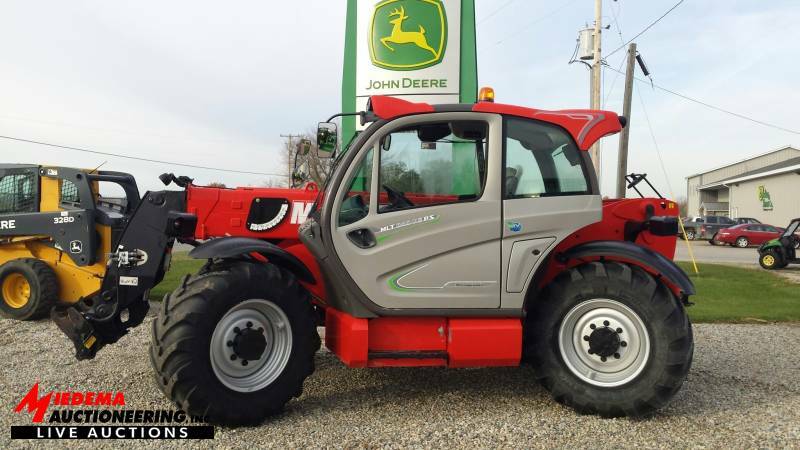 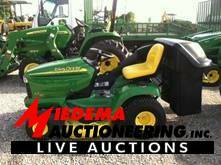 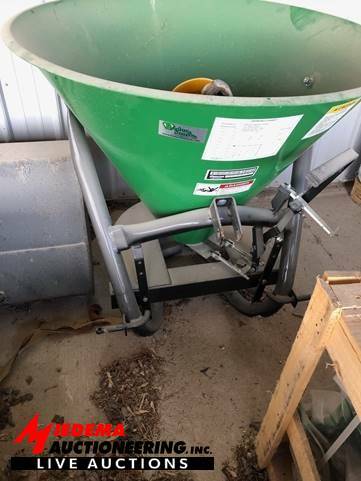 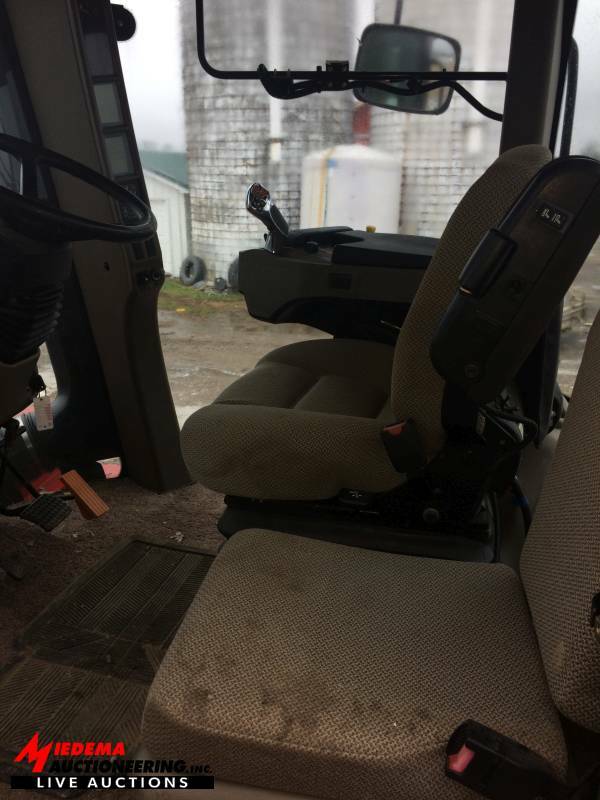 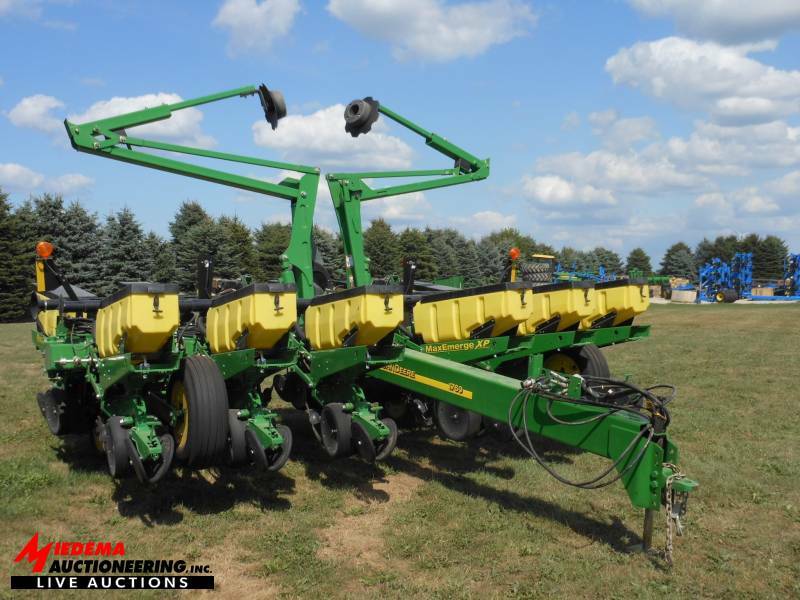 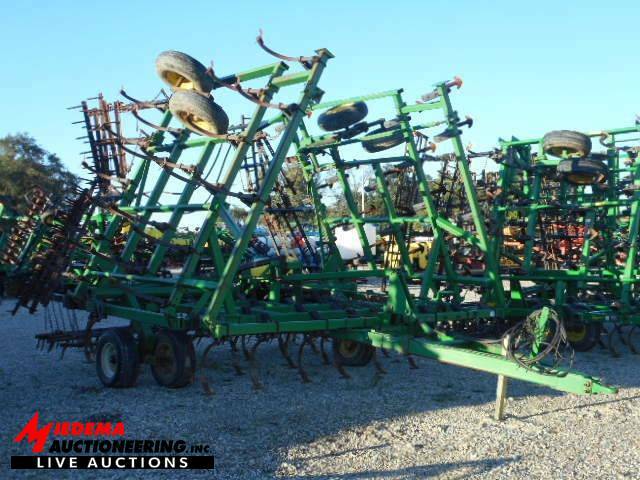 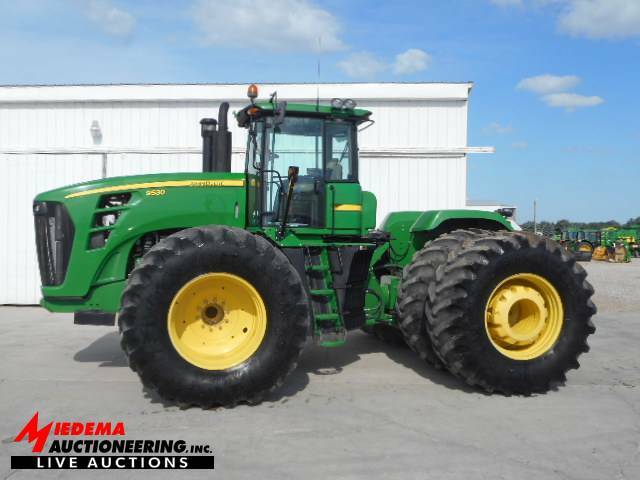 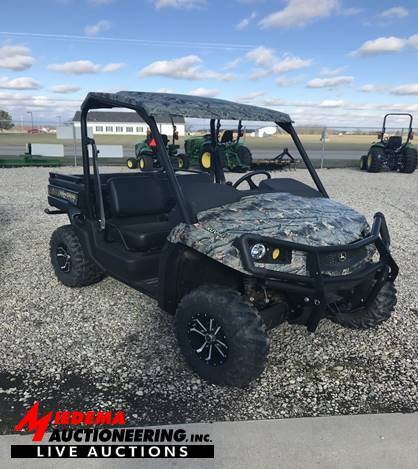 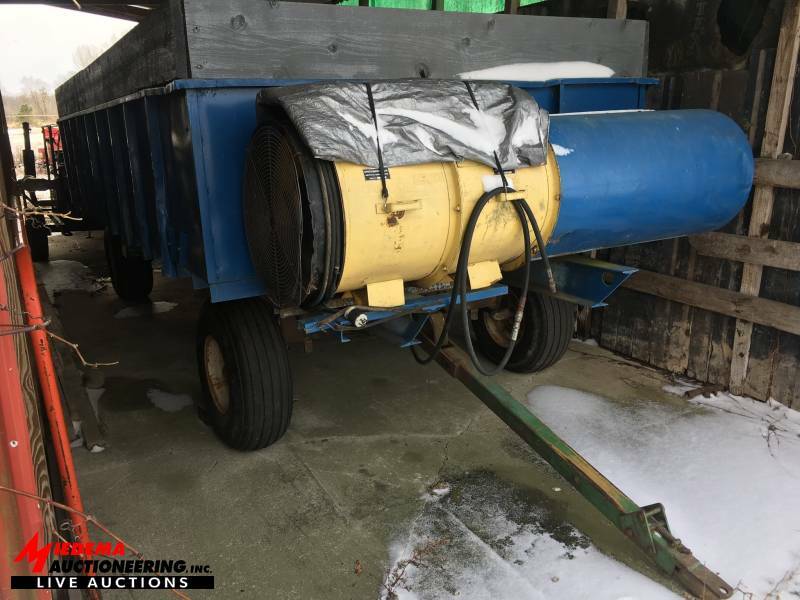 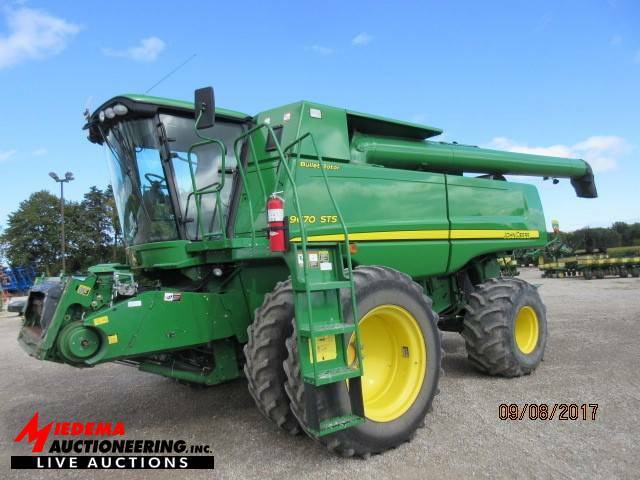 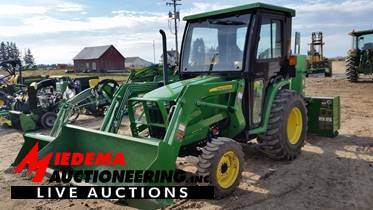 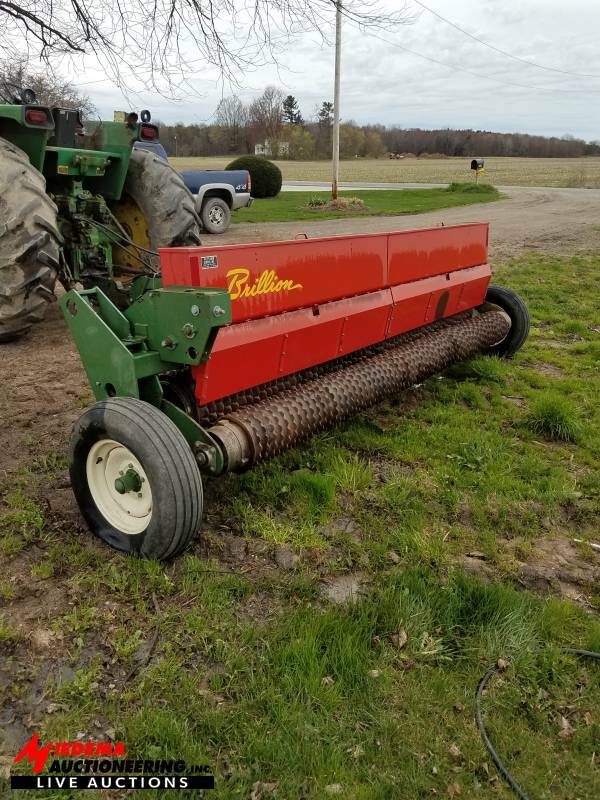 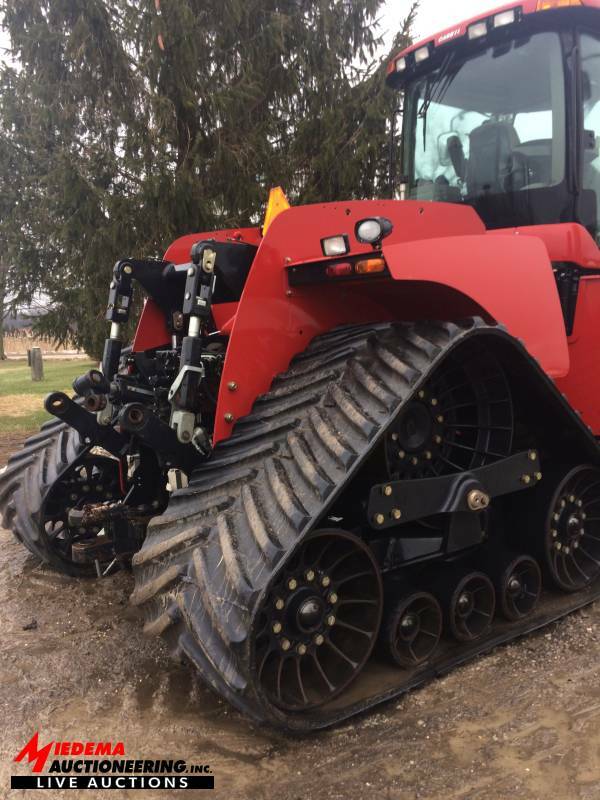 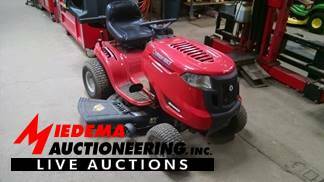 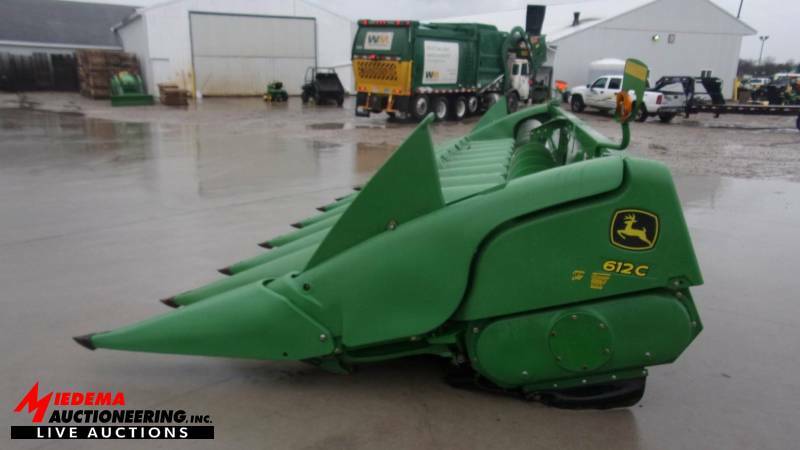 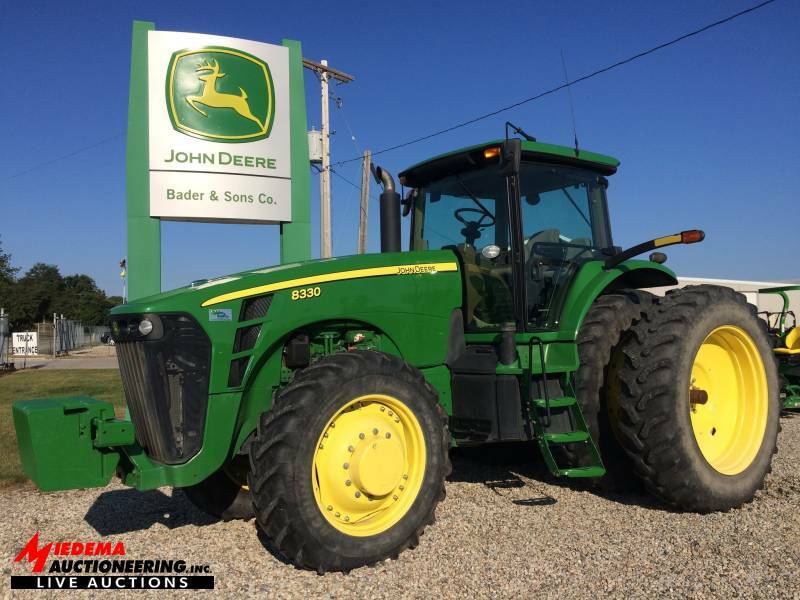 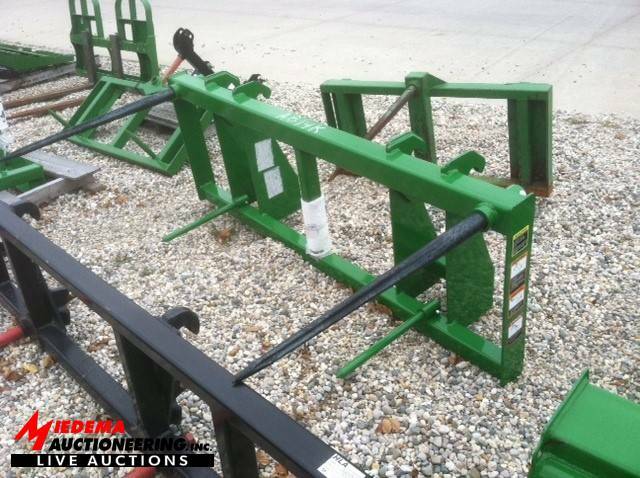 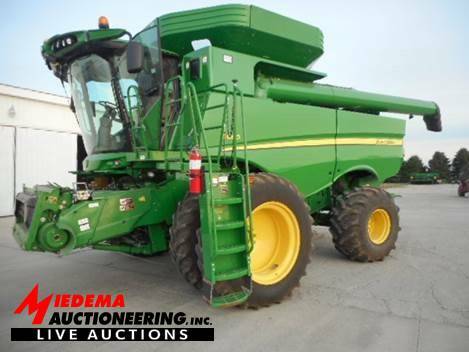 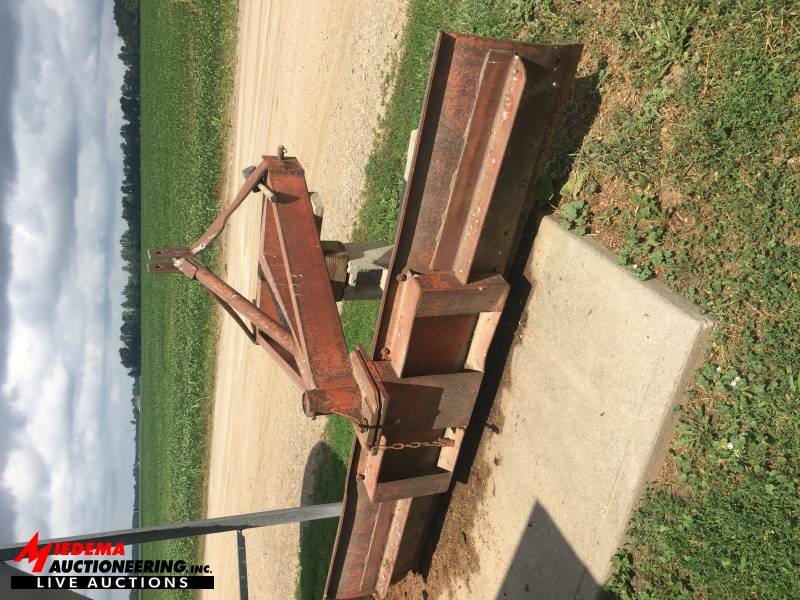 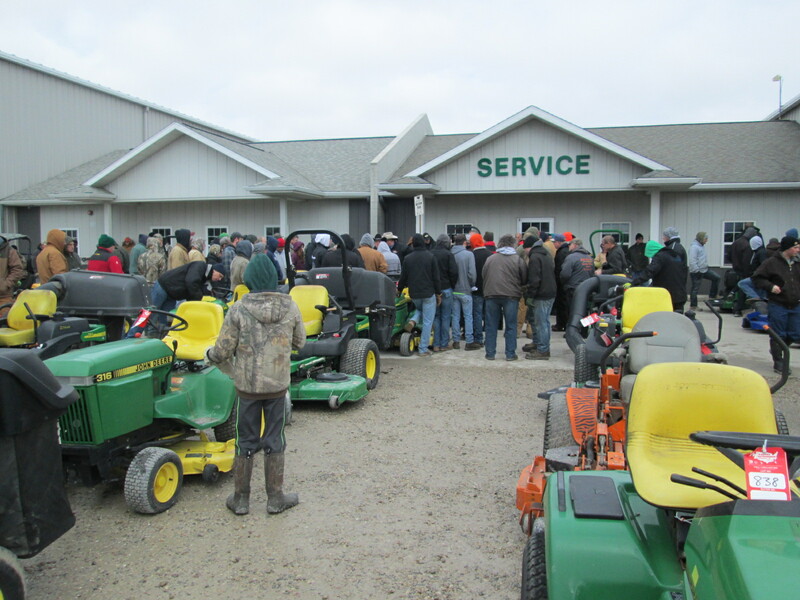 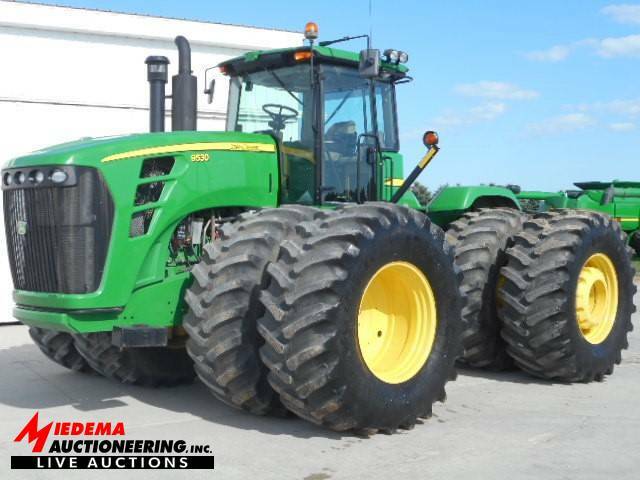 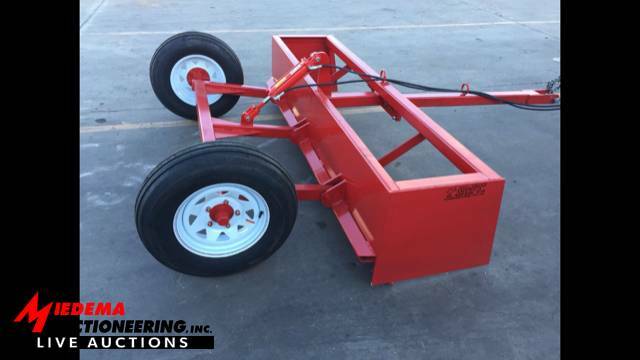 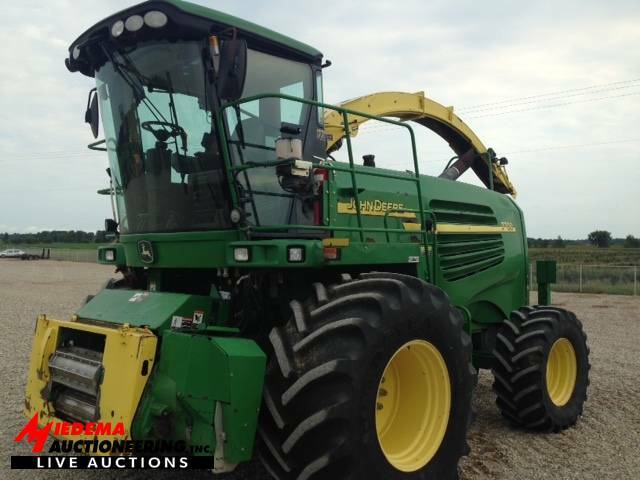 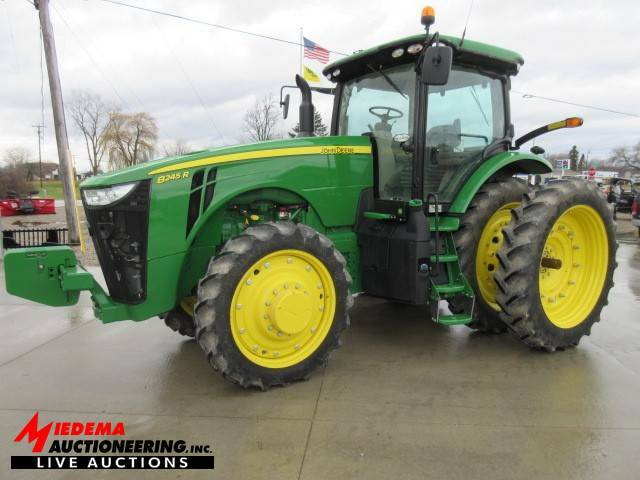 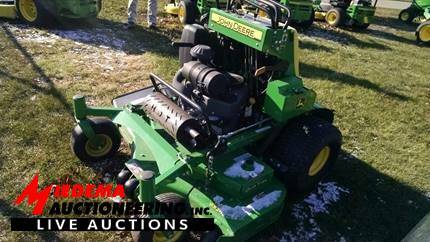 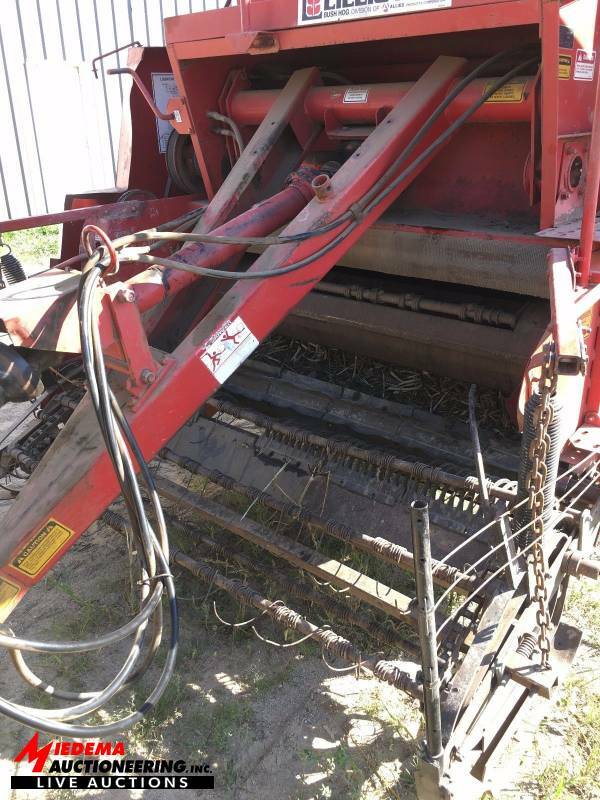 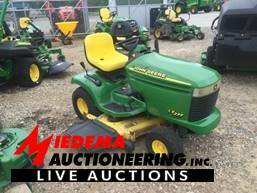 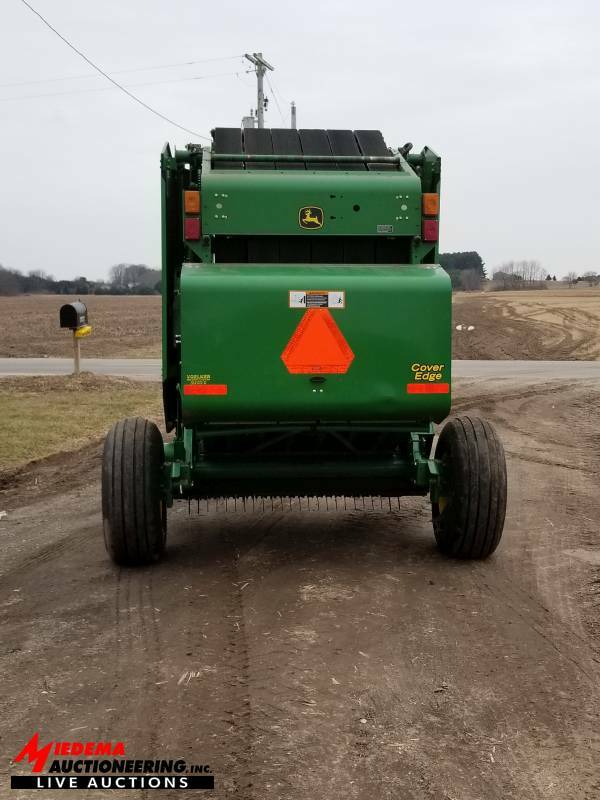 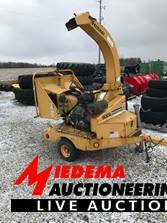 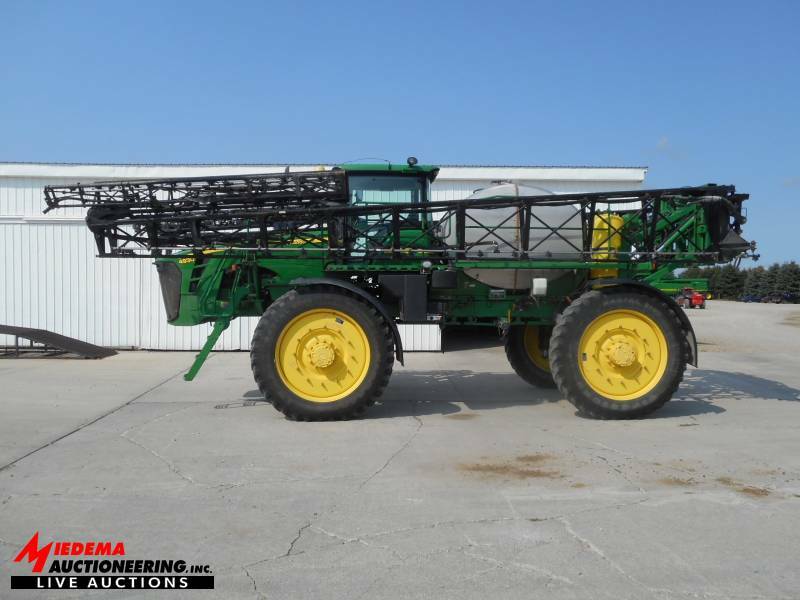 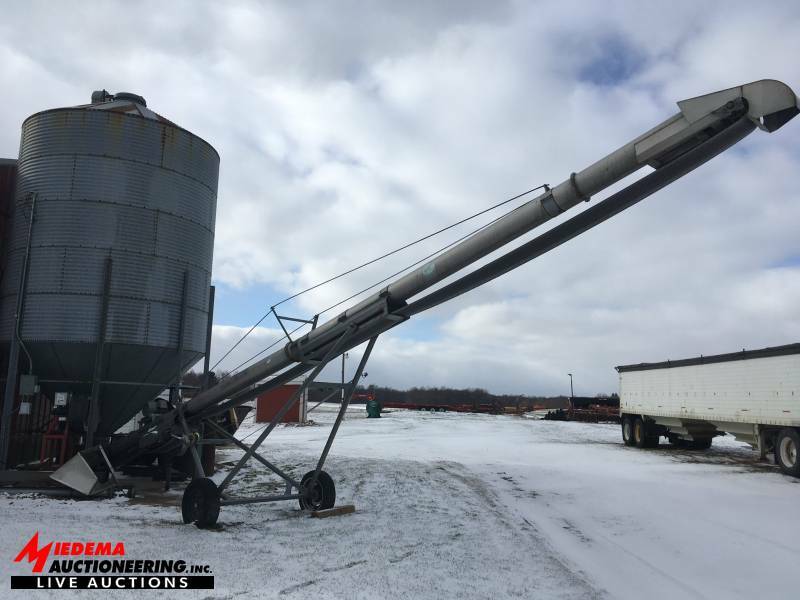 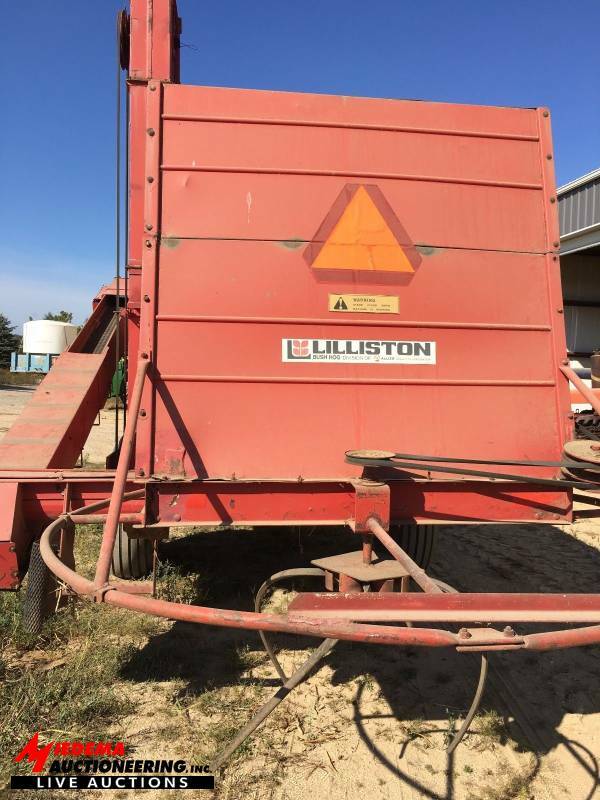 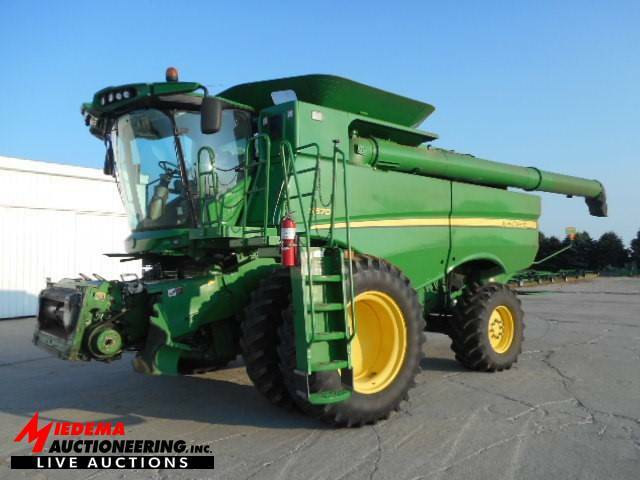 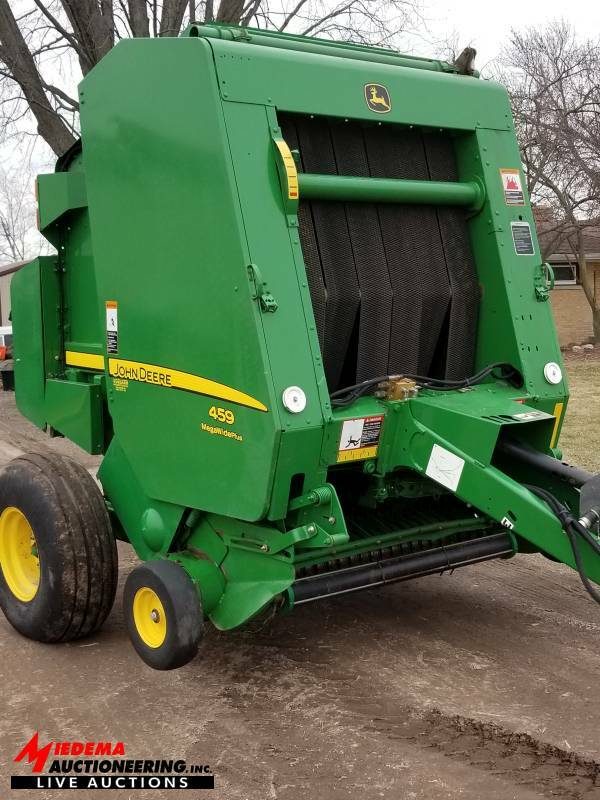 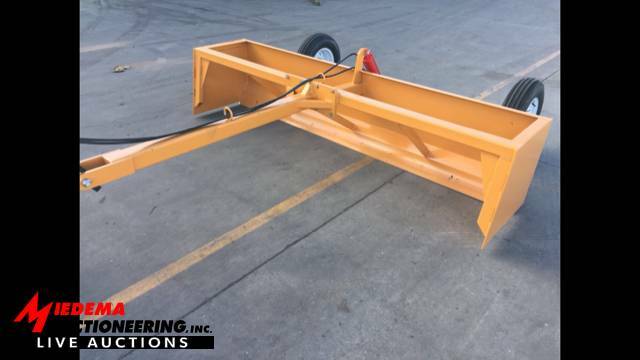 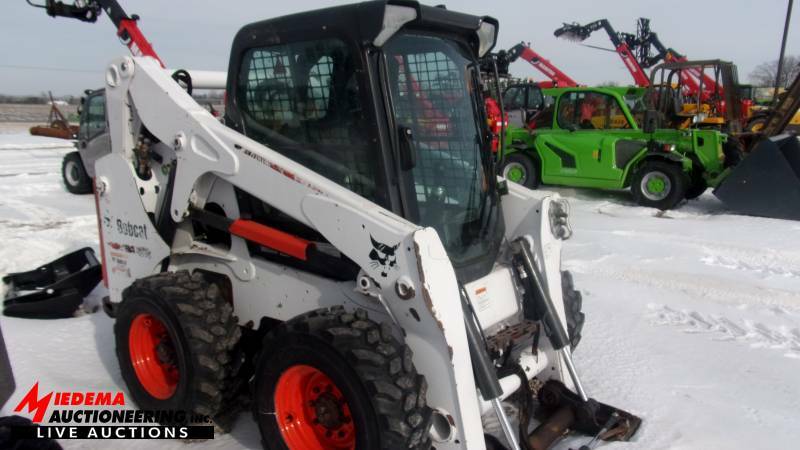 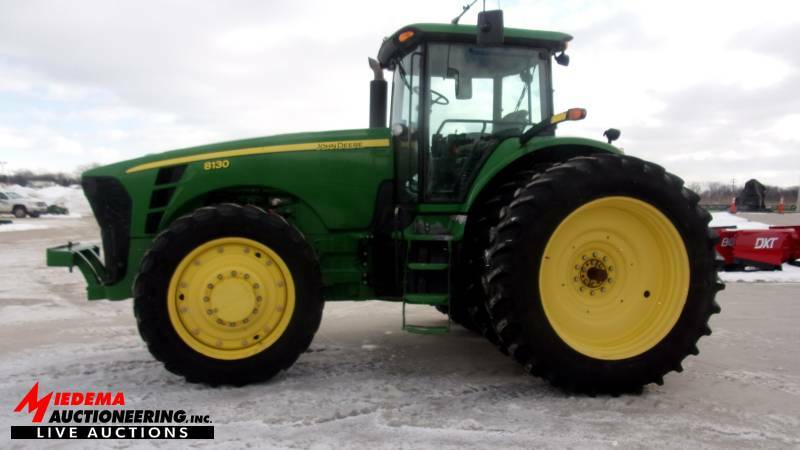 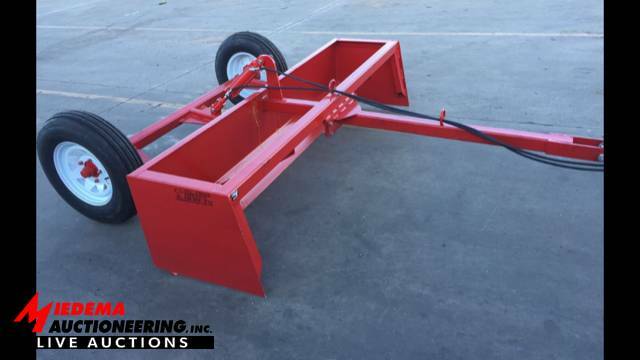 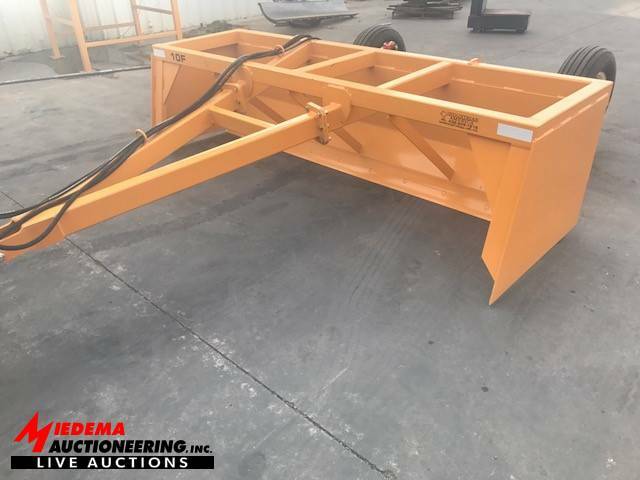 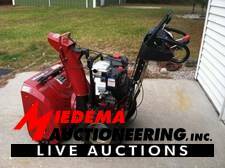 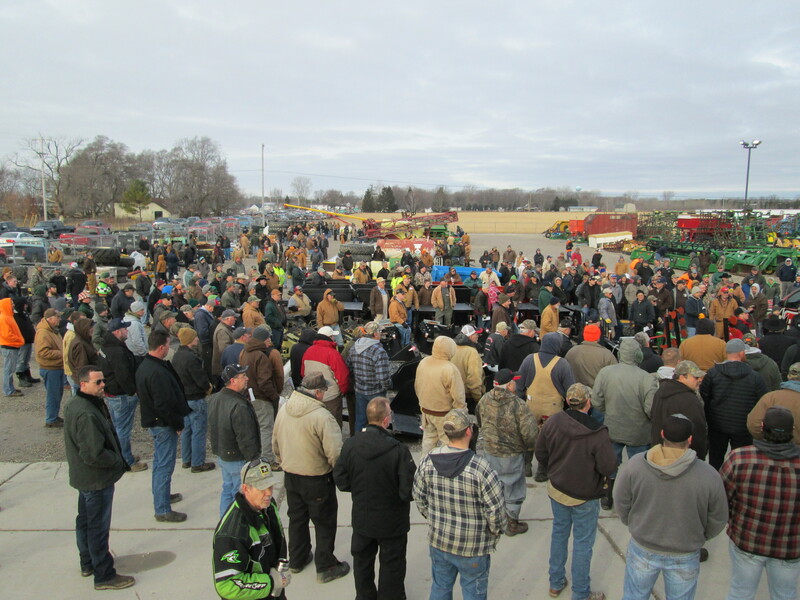 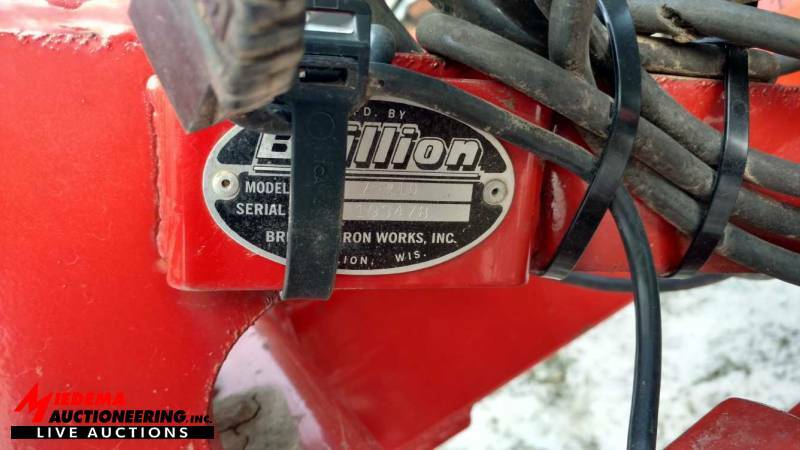 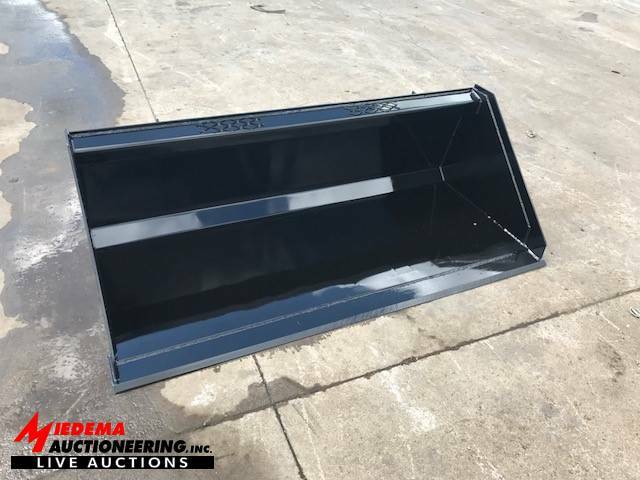 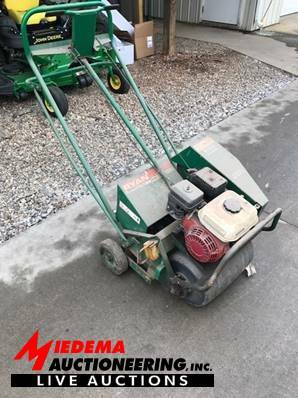 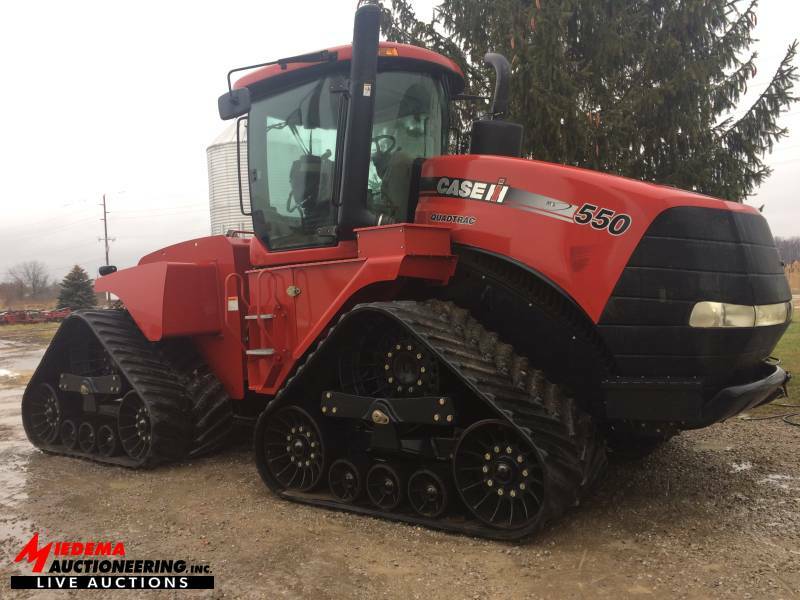 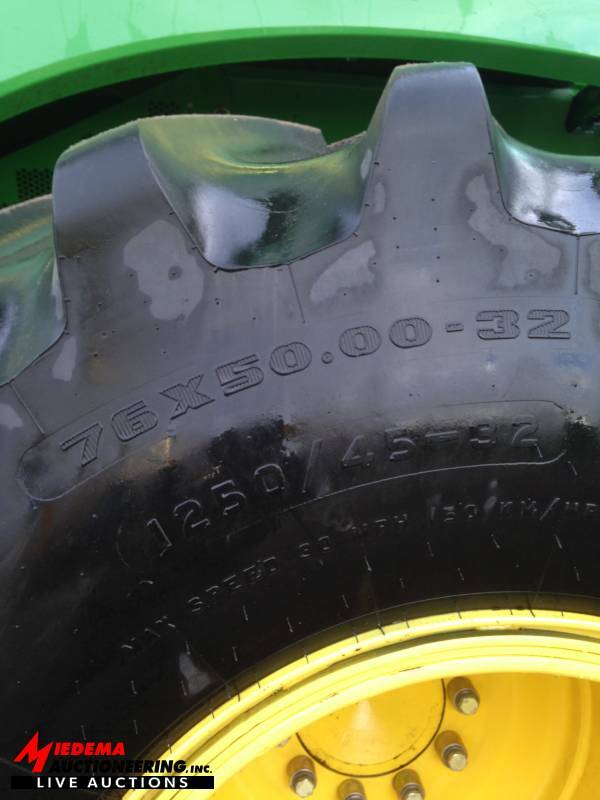 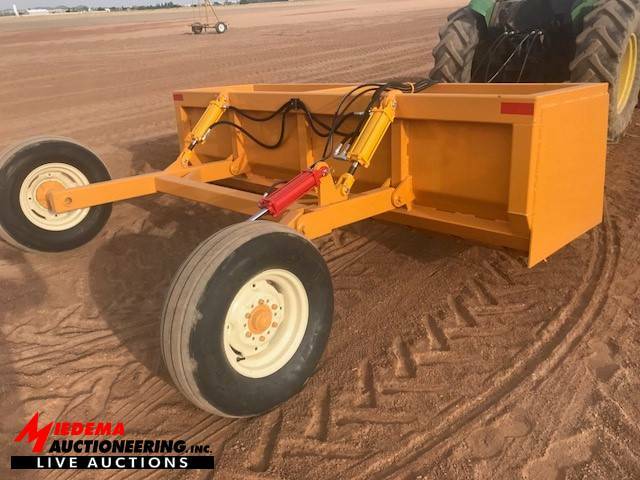 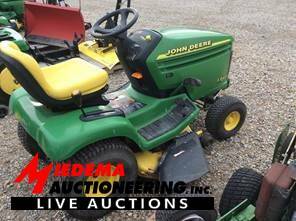 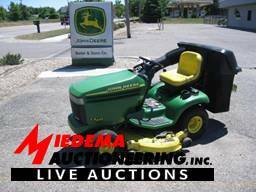 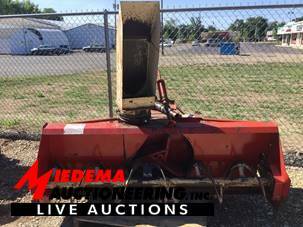 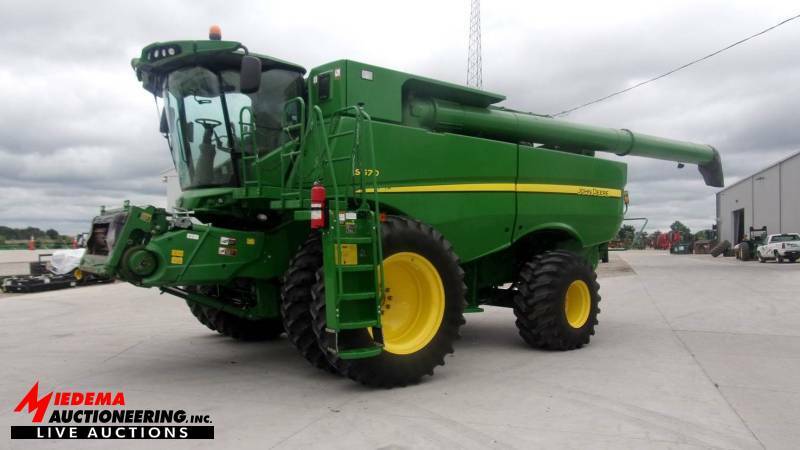 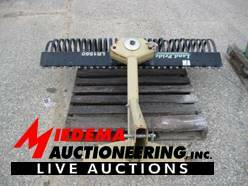 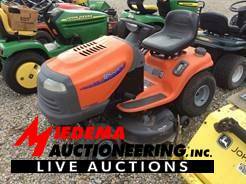 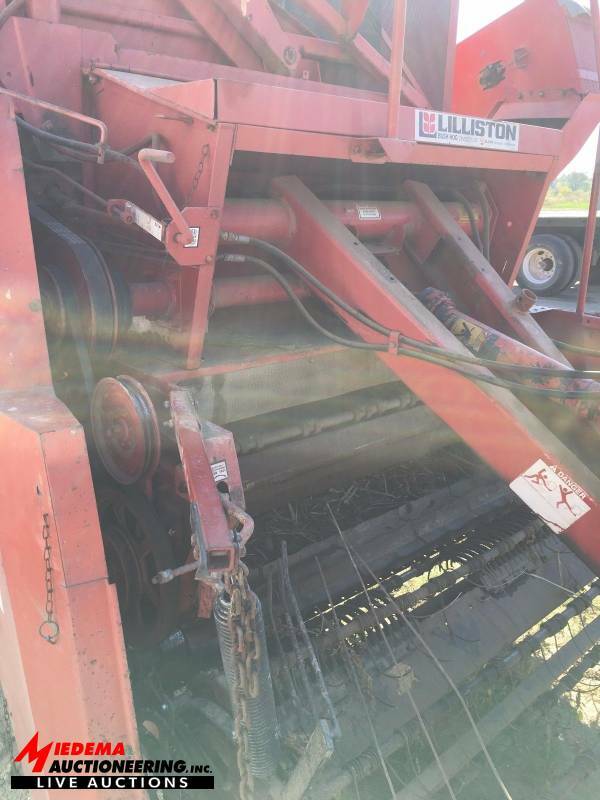 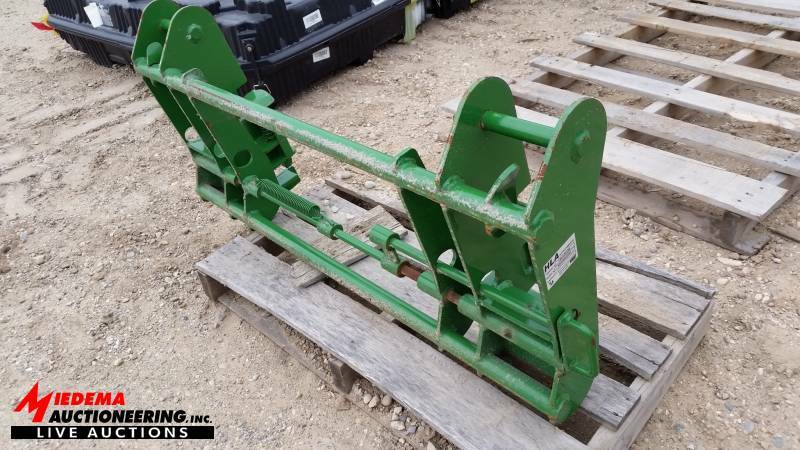 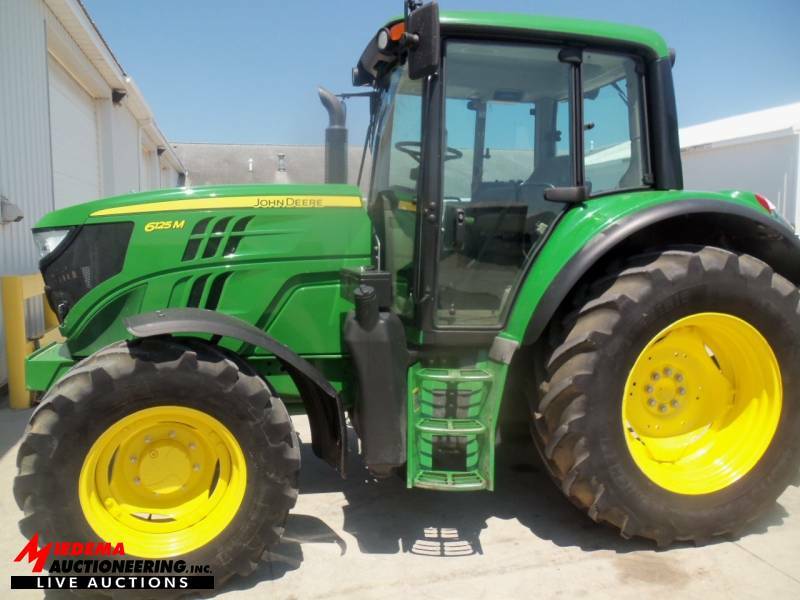 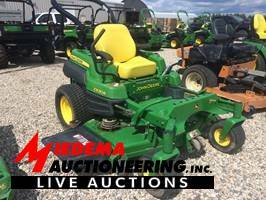 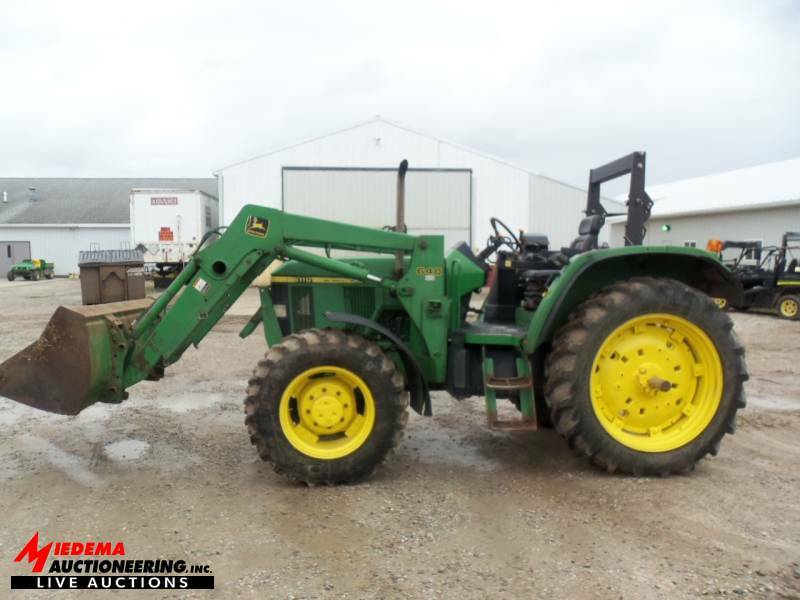 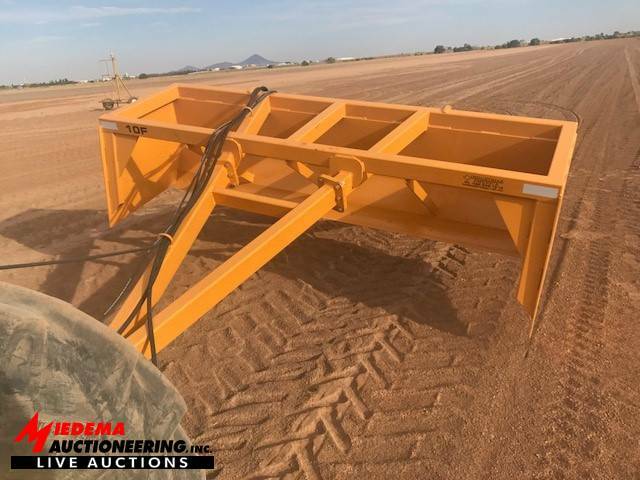 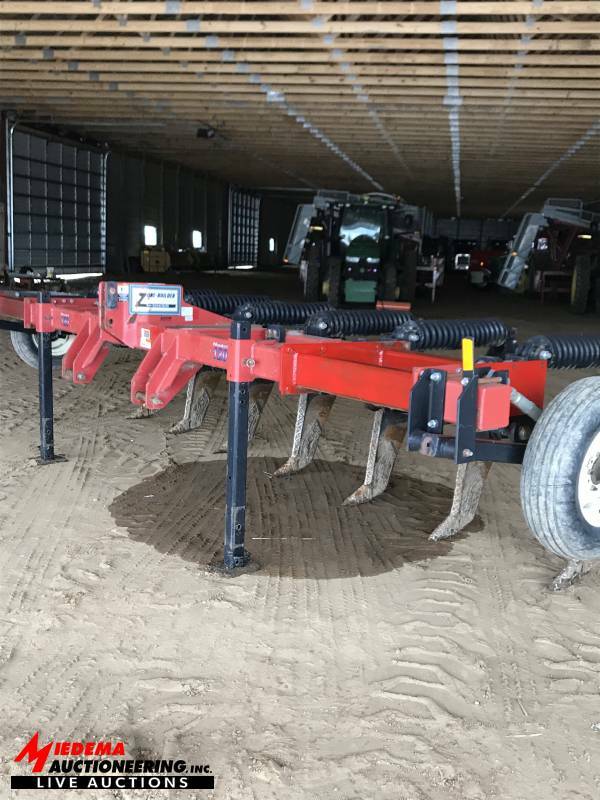 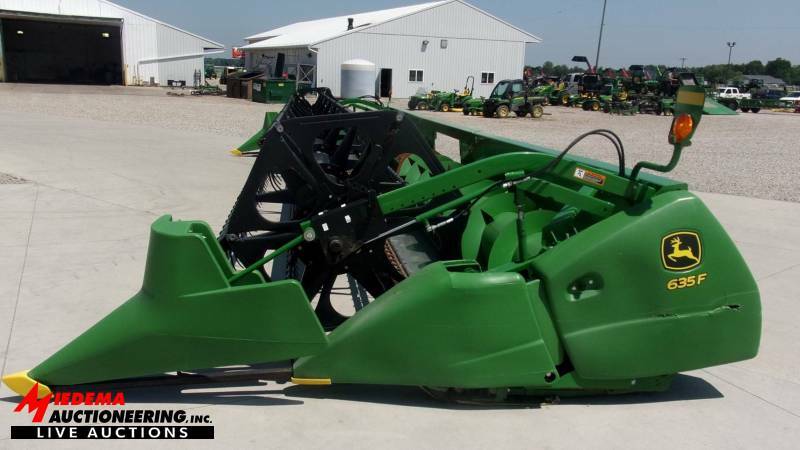 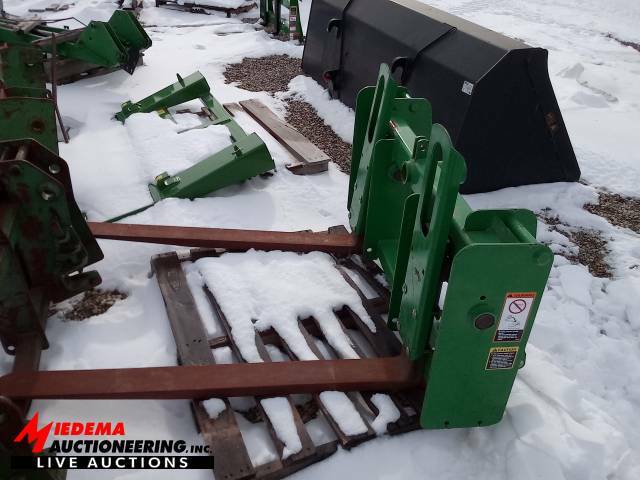 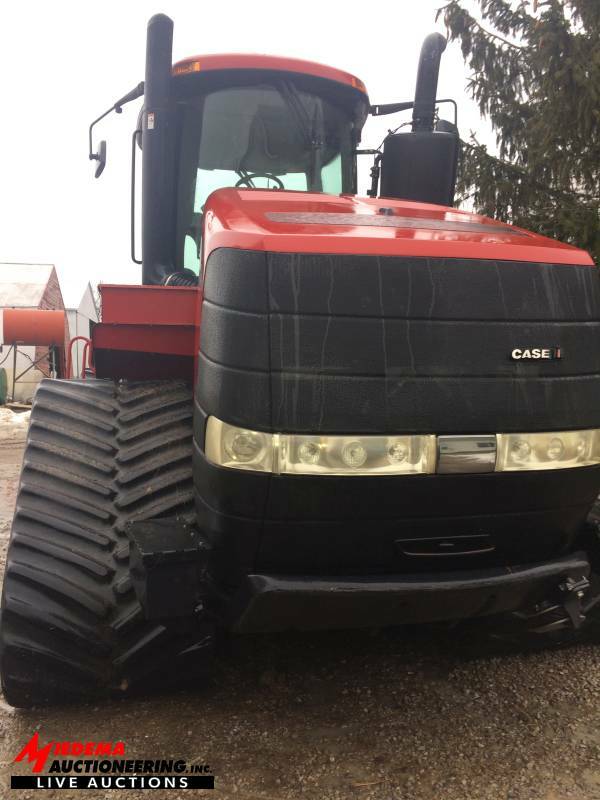 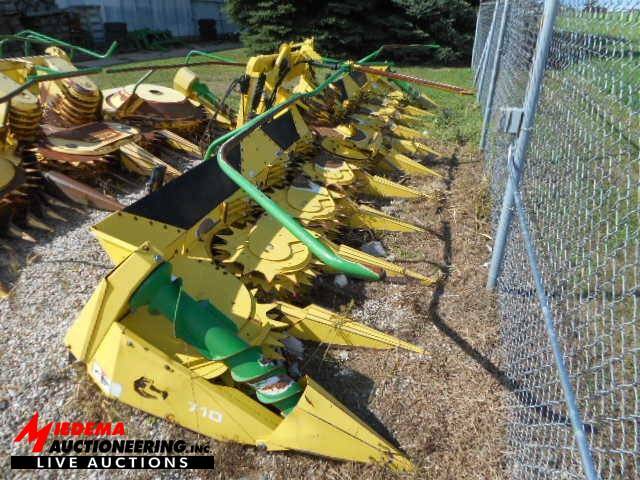 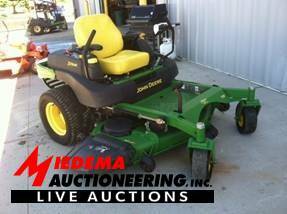 We are offering the Main Ring 1 – Large Farm Equipment and the Lawn Mower Ring – Lawn & Garden equipment with Live/On-line bidding through Proxibid.PANCAKE BREAKFAST: There will be a free pancake breakfast before auction 7AM-9AM on Saturday, February 24, 2018 in the Bader & Sons Co. building behind the store, compliments of Bader & Sons Co. & Miedema Auctioneering, Inc. 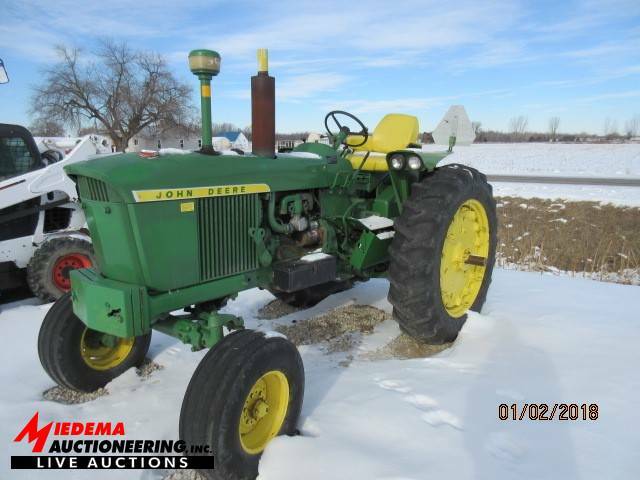  If sellers want their item listed on this web site preview, Contact Donna Reitsma – Consignor Contact at 616-389-6440. 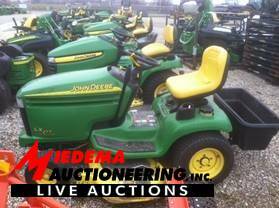 All items will be charged State Sales Tax. 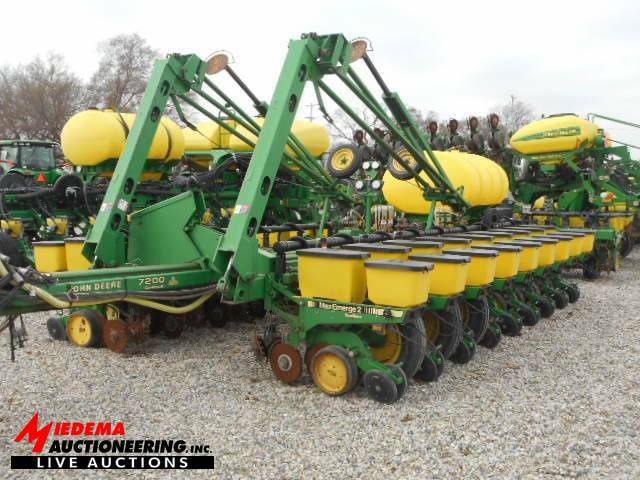 For exemption from sales tax on agricultural items, buyers will need to sign an agricultural exemption statement.